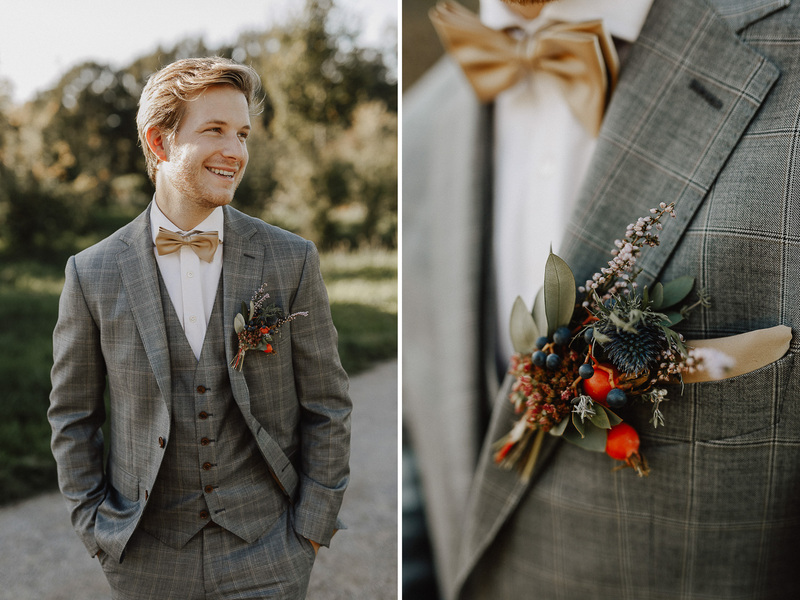 Atumn dyes the landscape in impressionistic, vibrant and wild colors of mustard yellow and chestnut red. 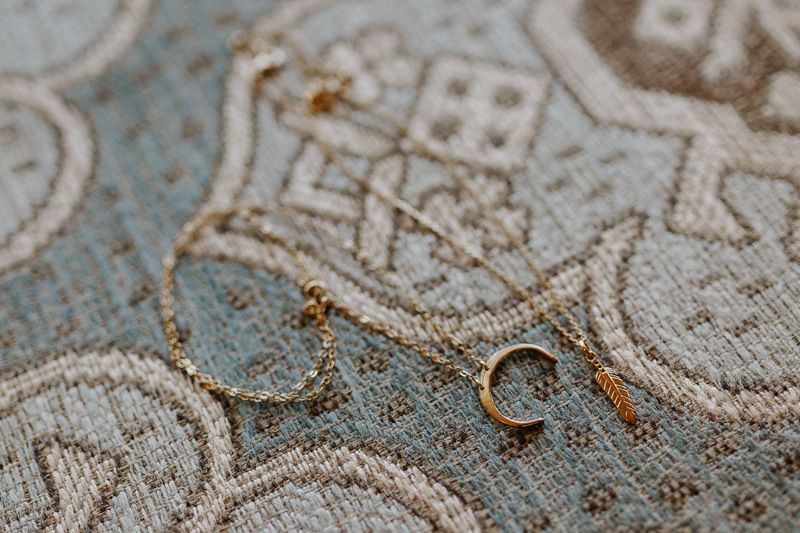 The warm sunlight dips the day in cozy idleness. 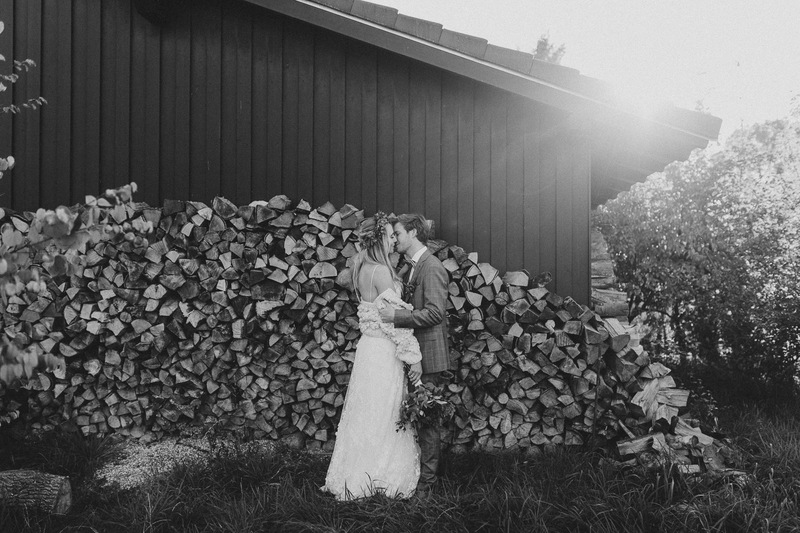 The wind gives a warm breeze with a hint of winter to come. 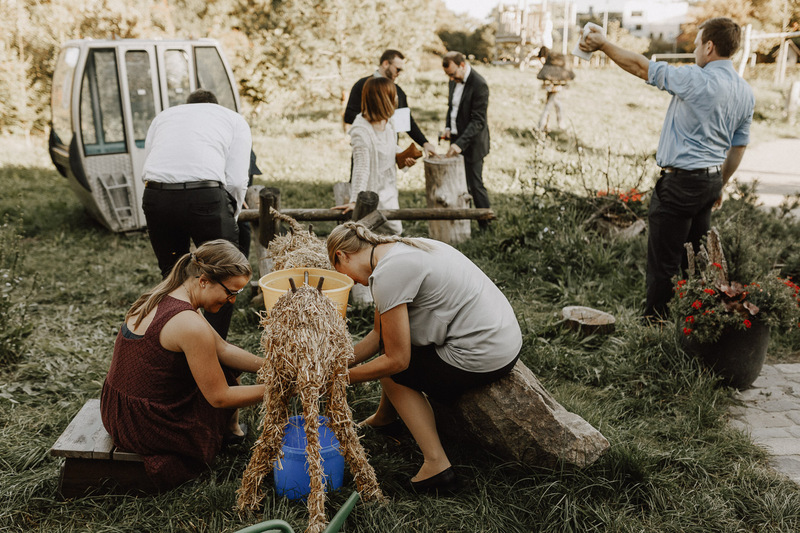 Time passes by slowly, people backpadel and remember the summers day, the last warm days of the year. 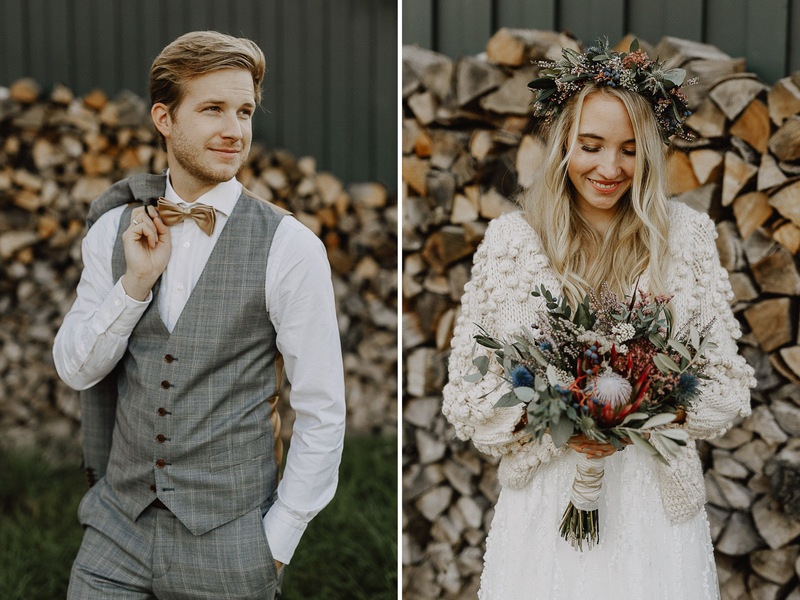 We love autumn. 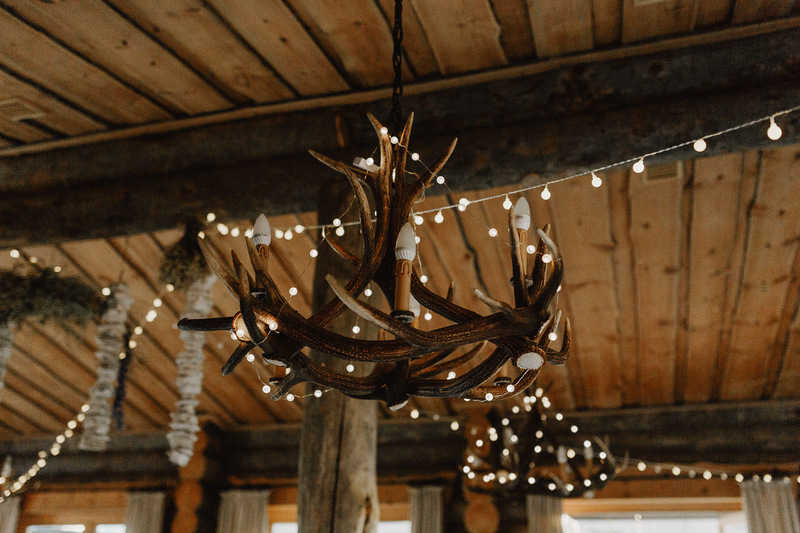 It’s our favorite season. 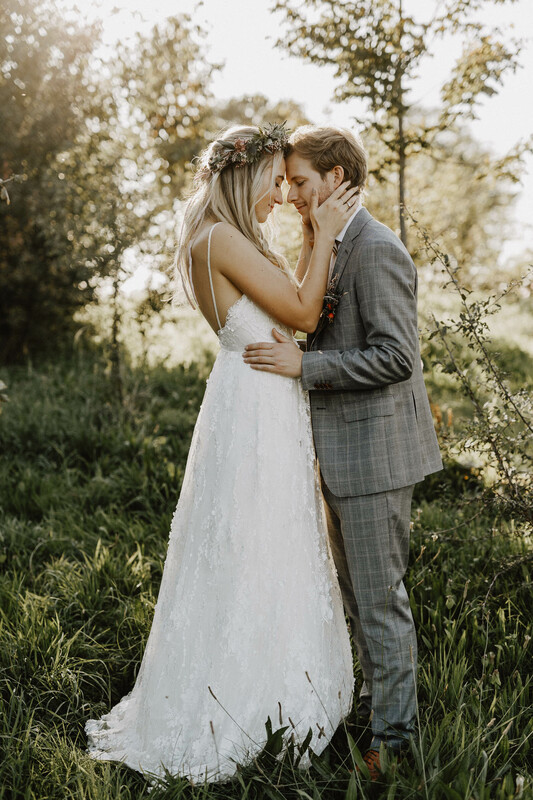 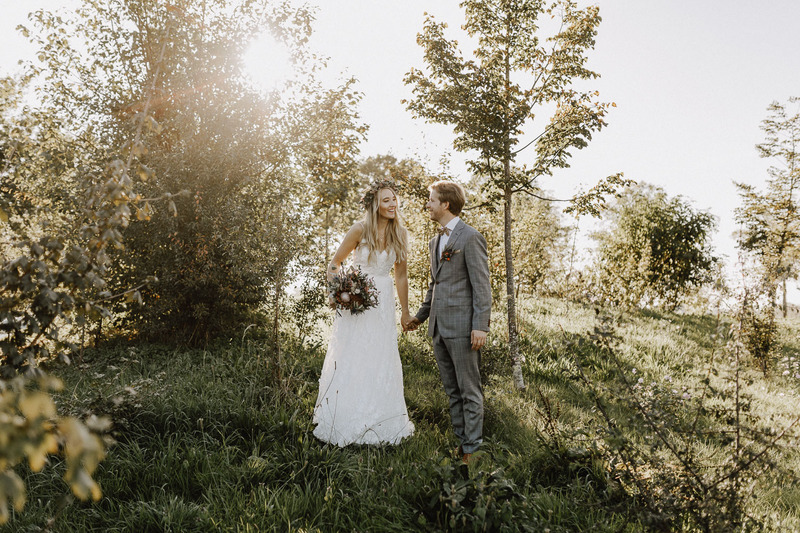 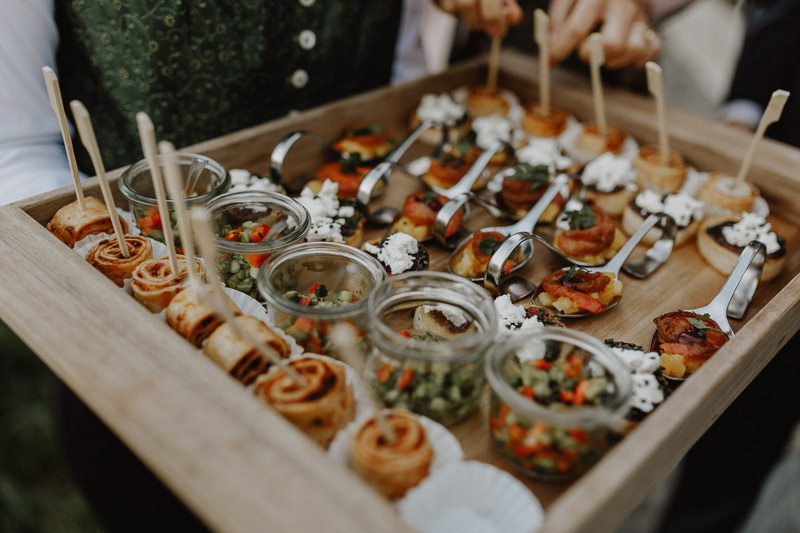 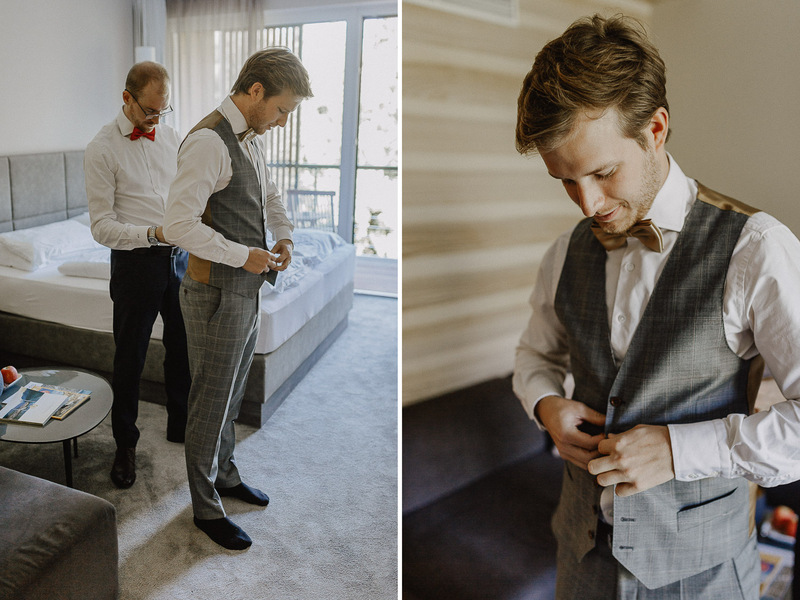 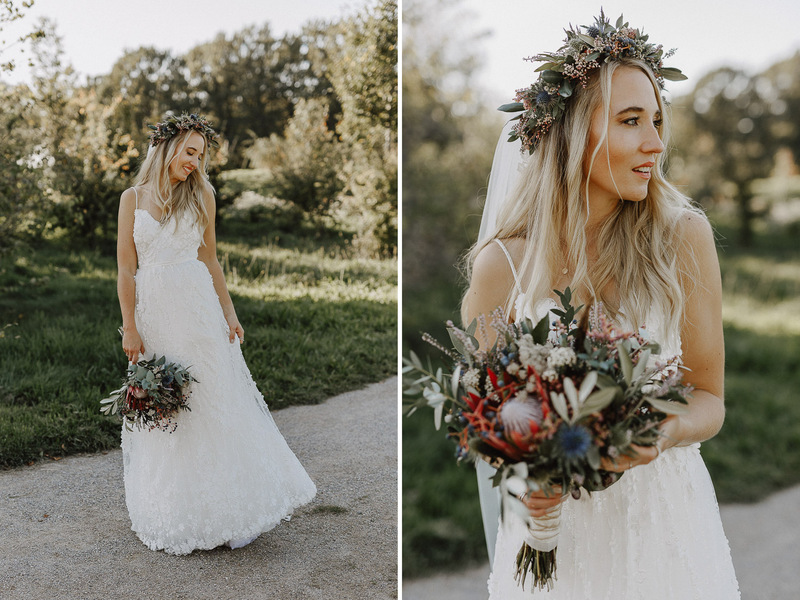 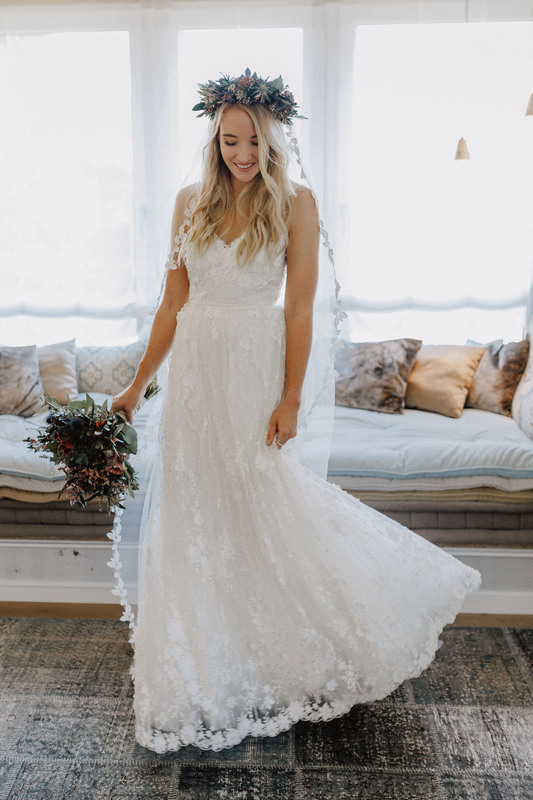 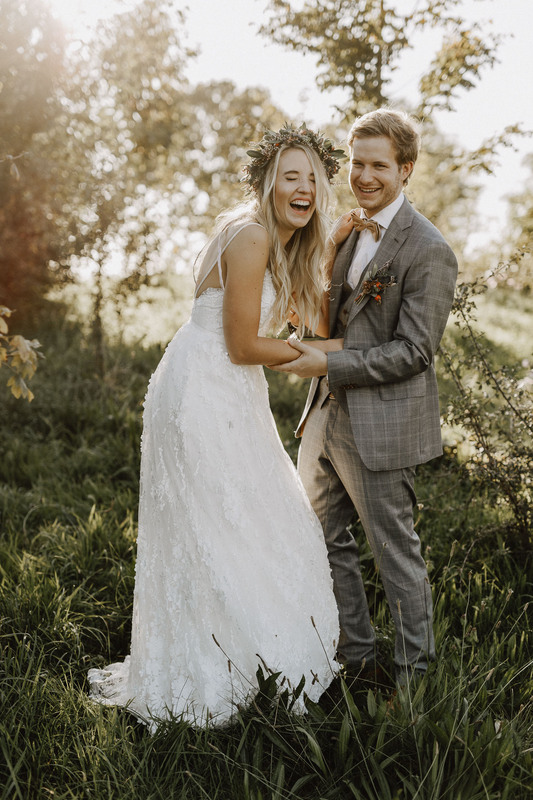 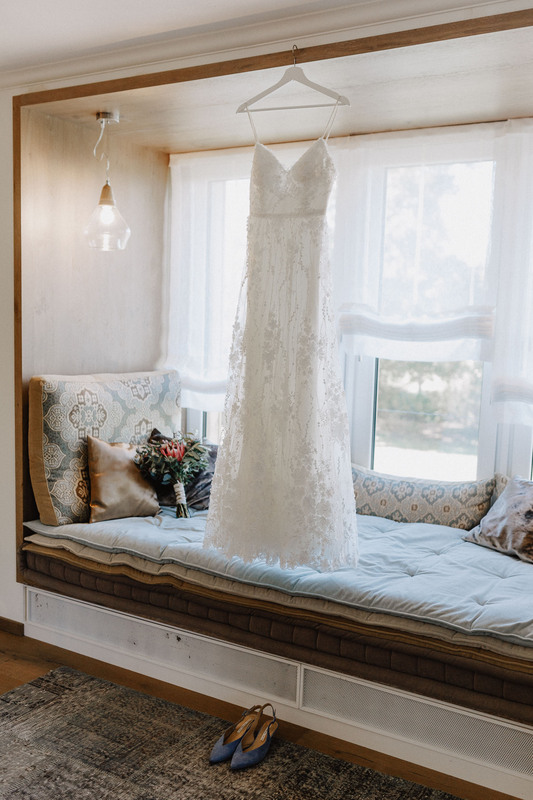 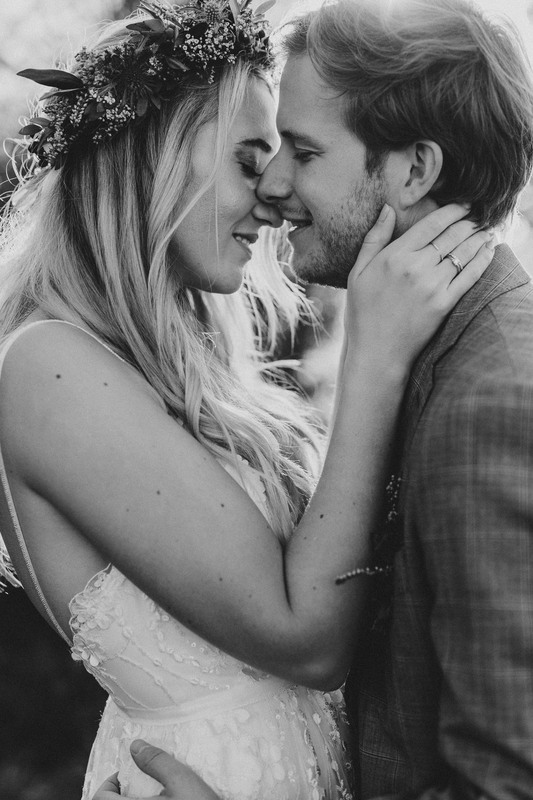 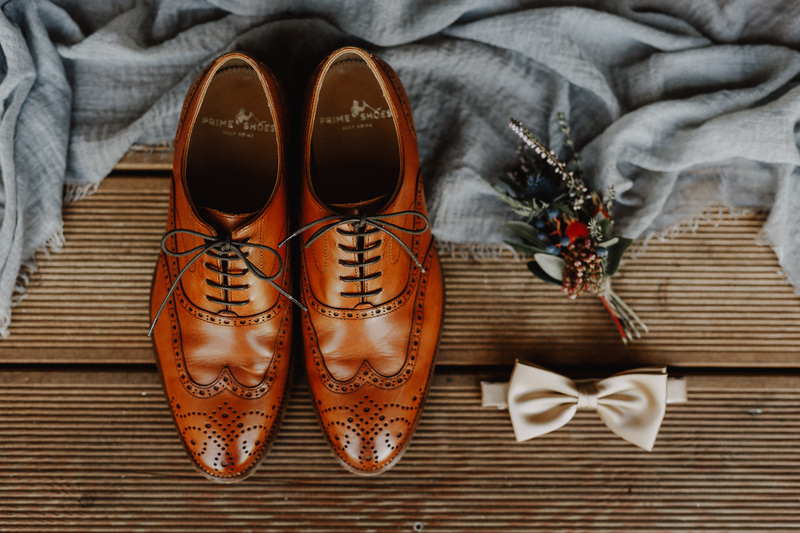 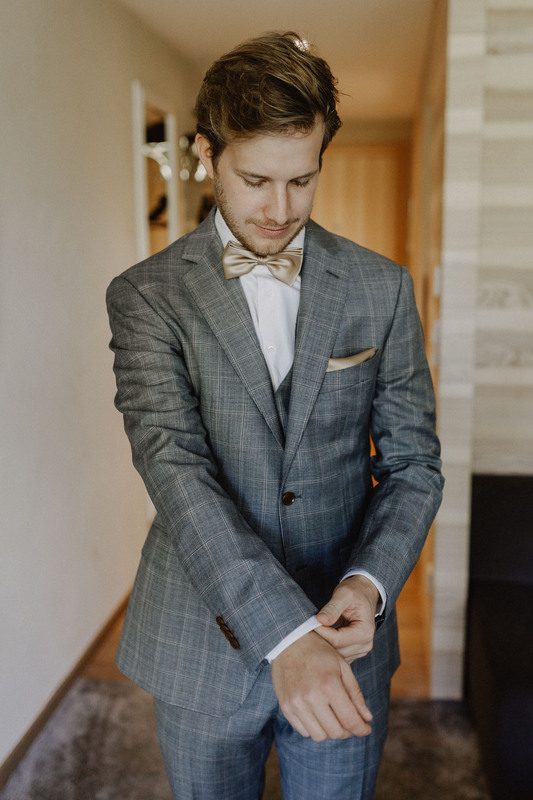 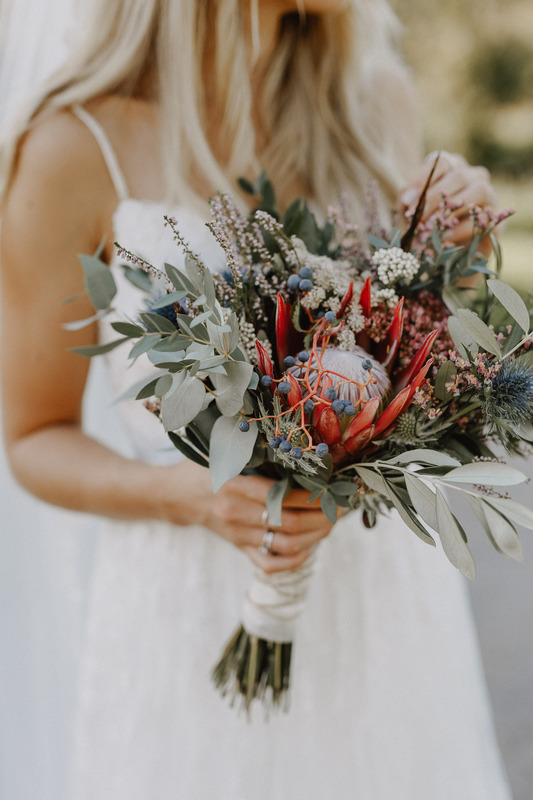 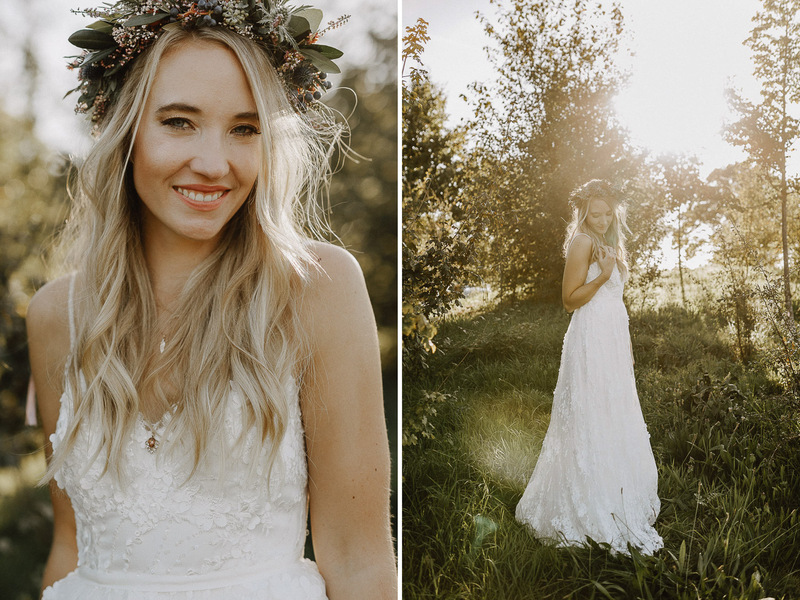 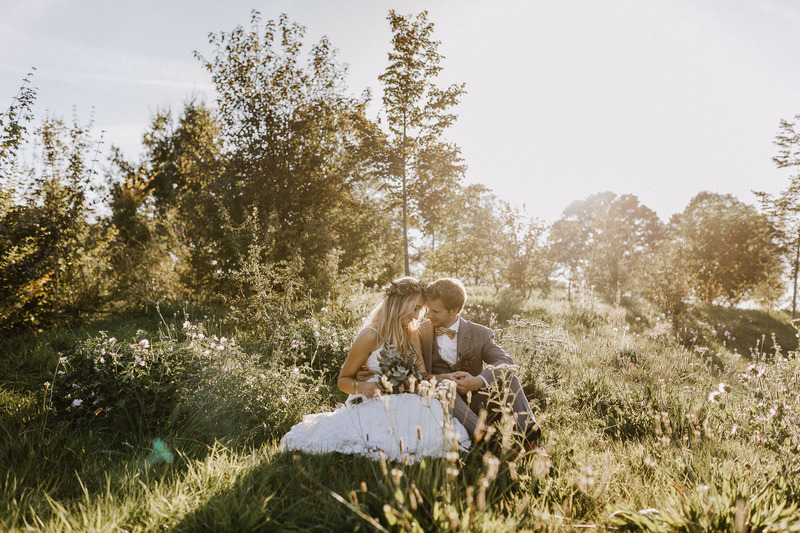 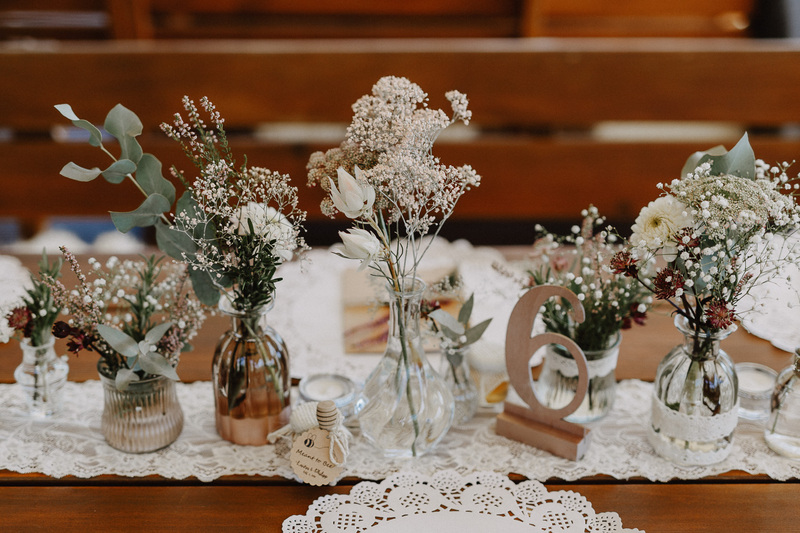 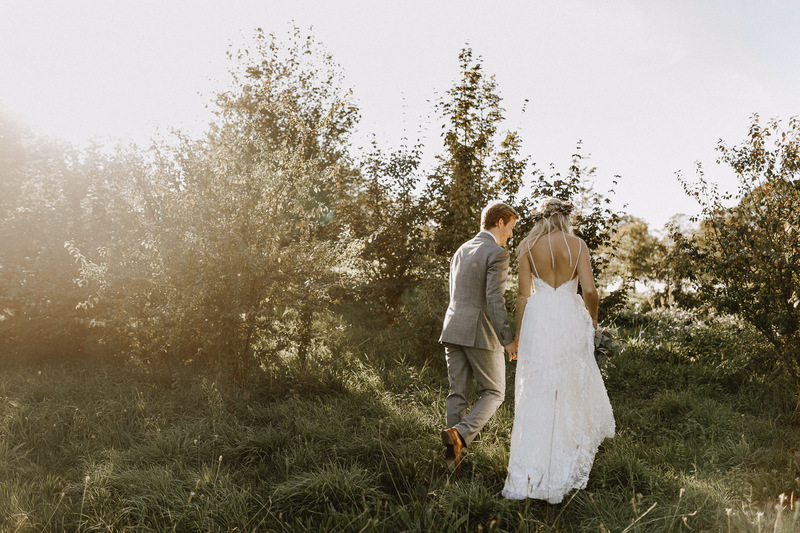 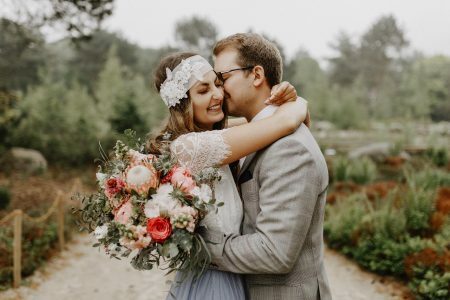 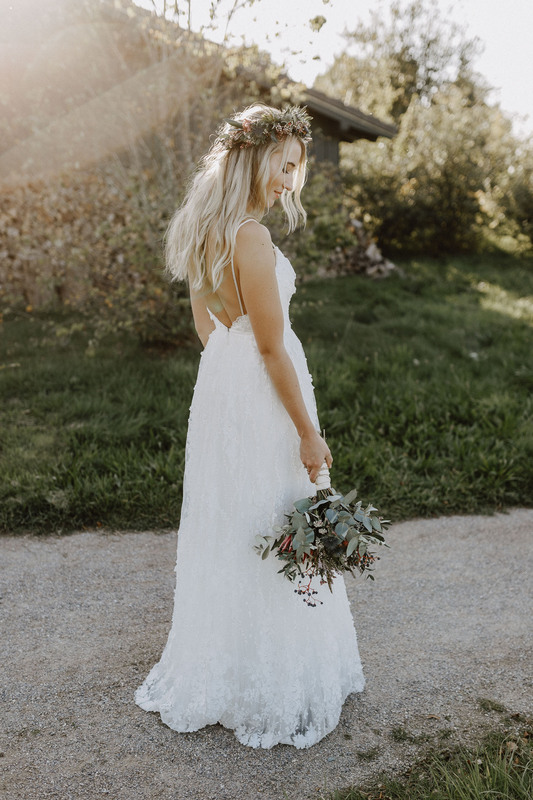 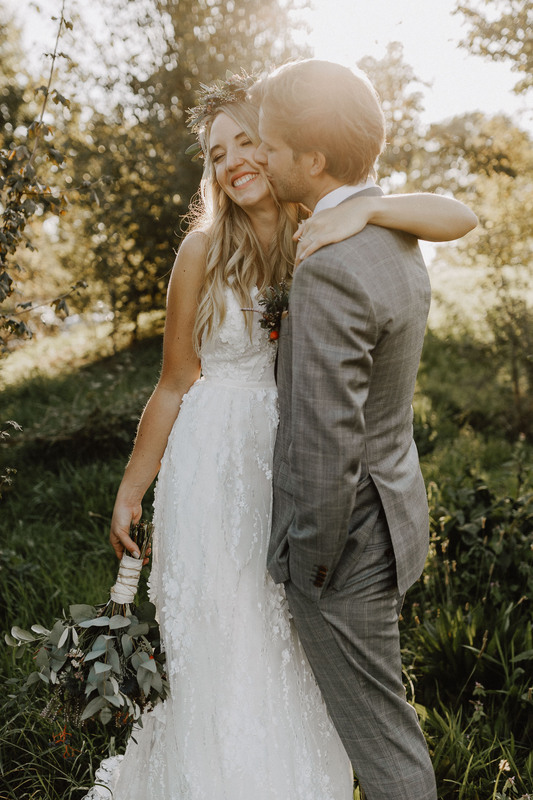 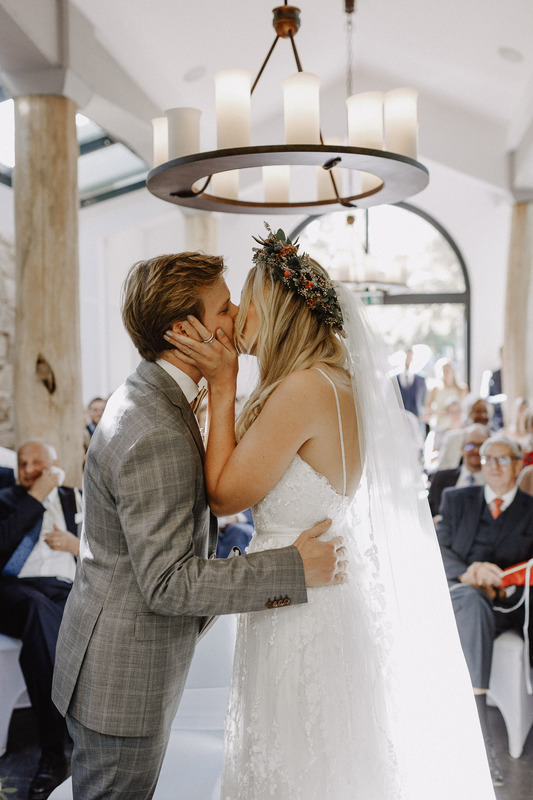 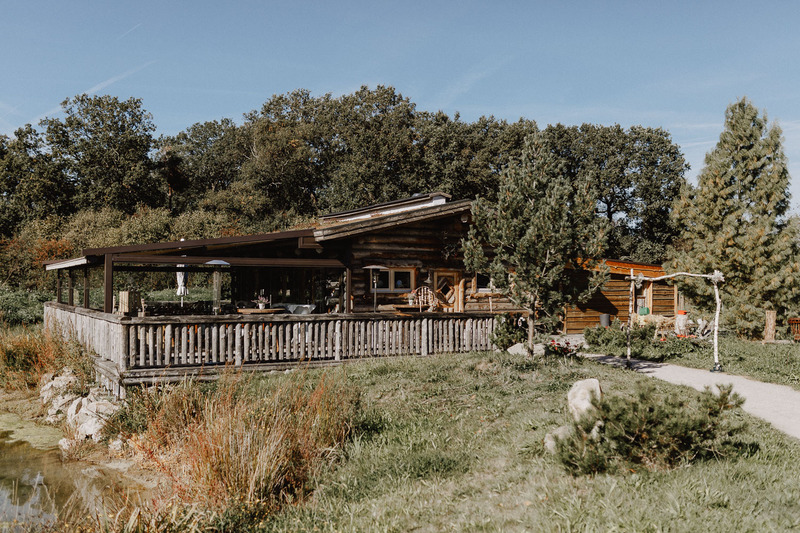 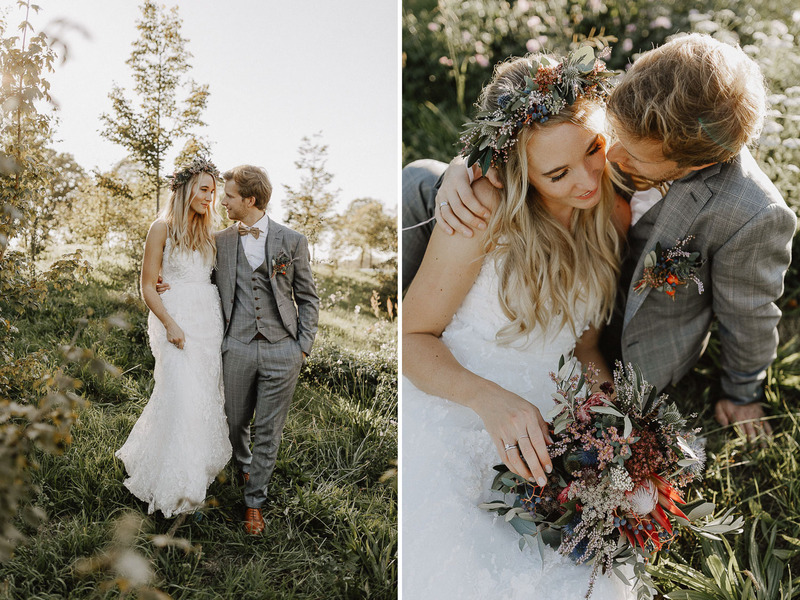 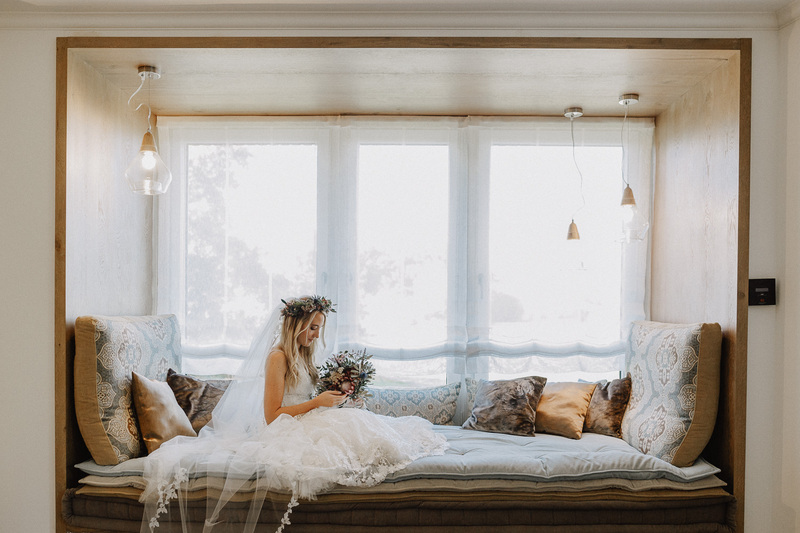 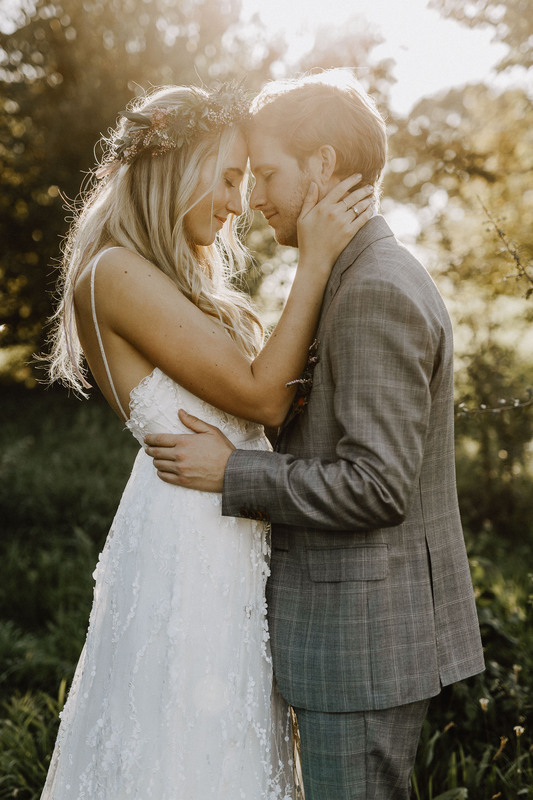 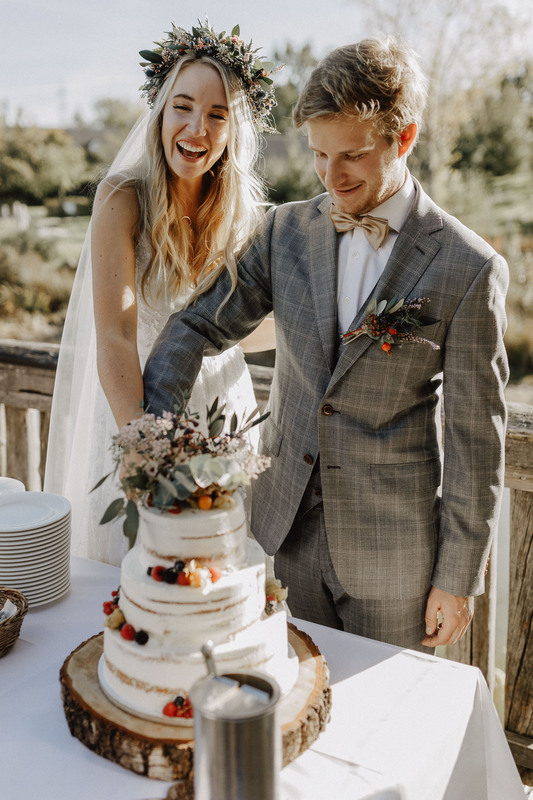 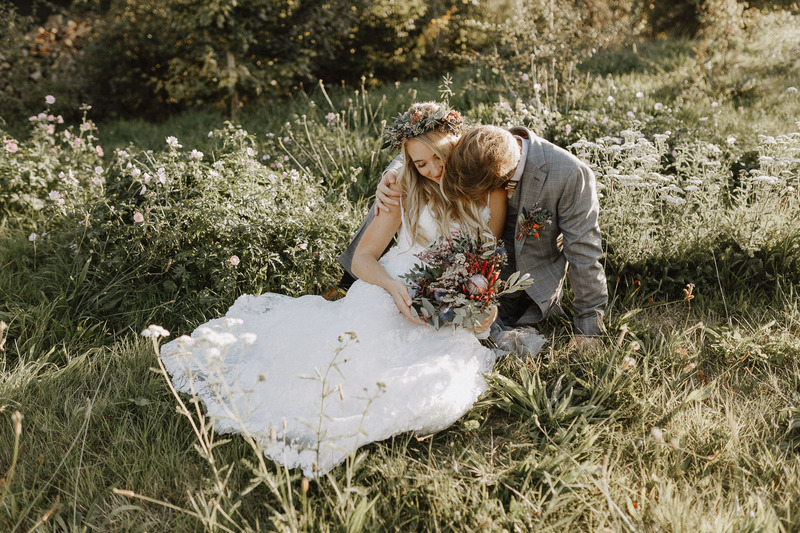 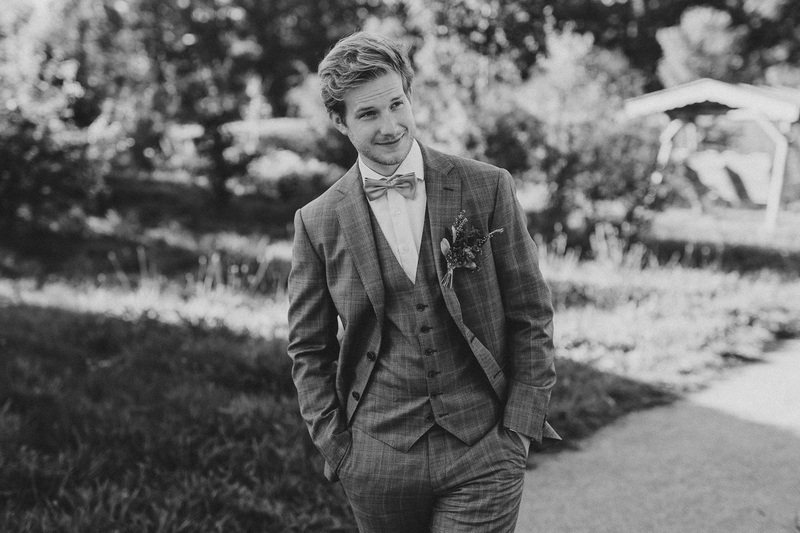 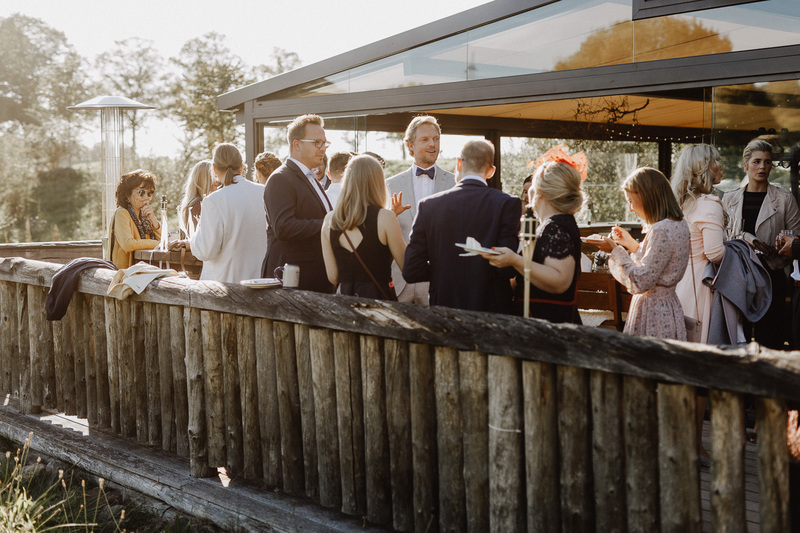 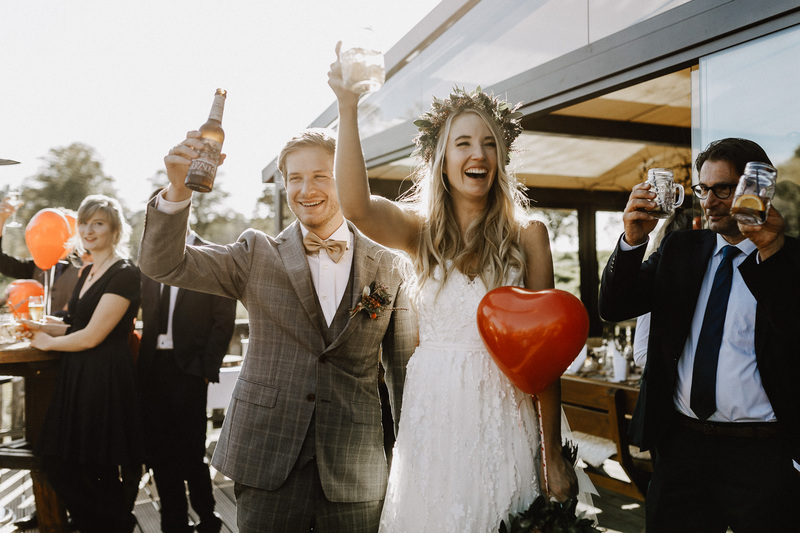 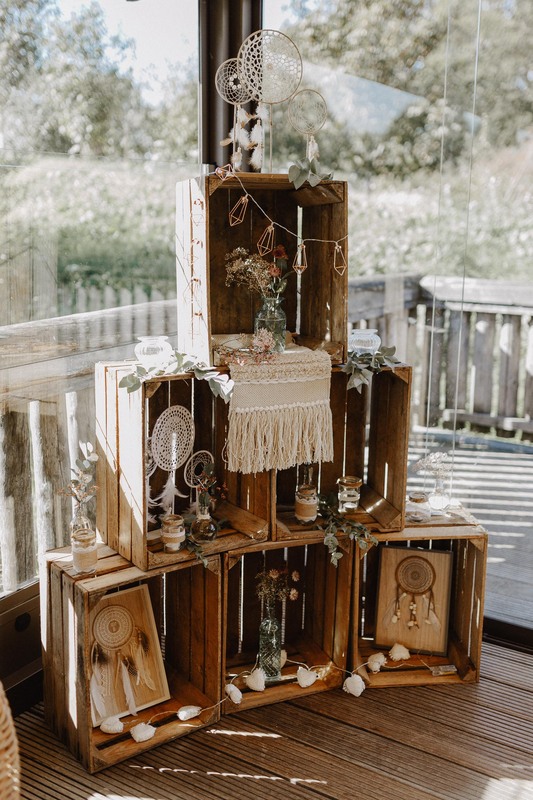 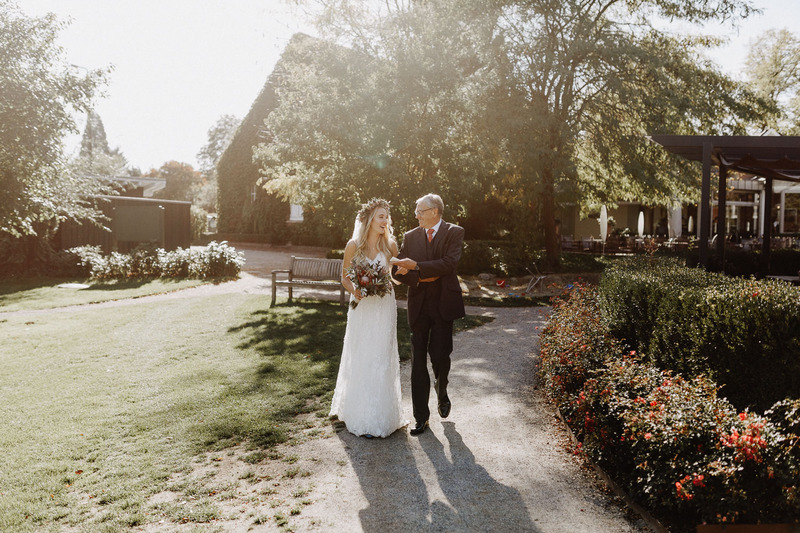 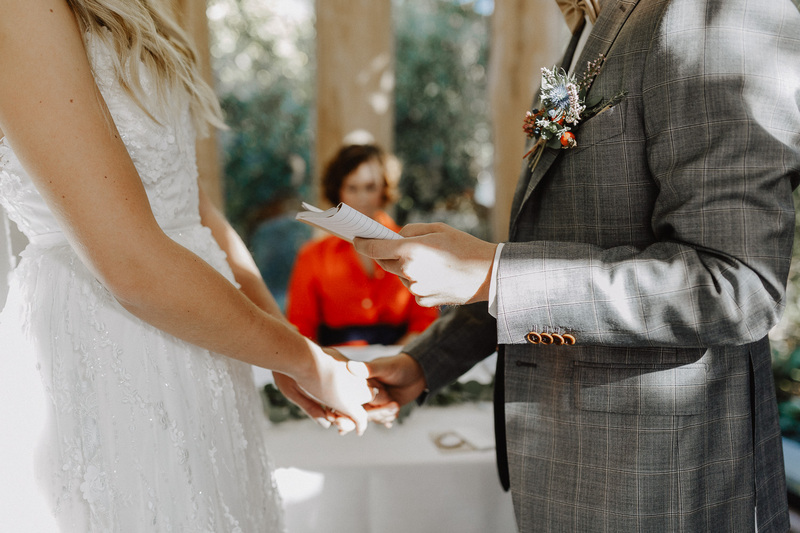 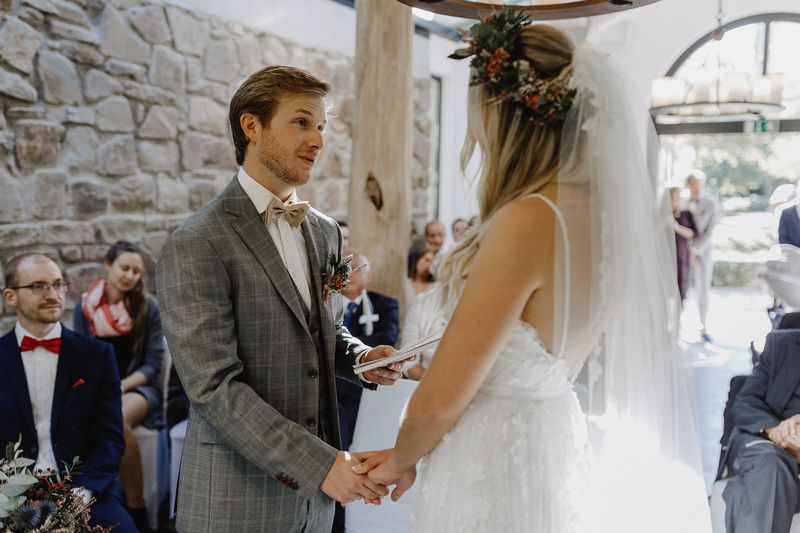 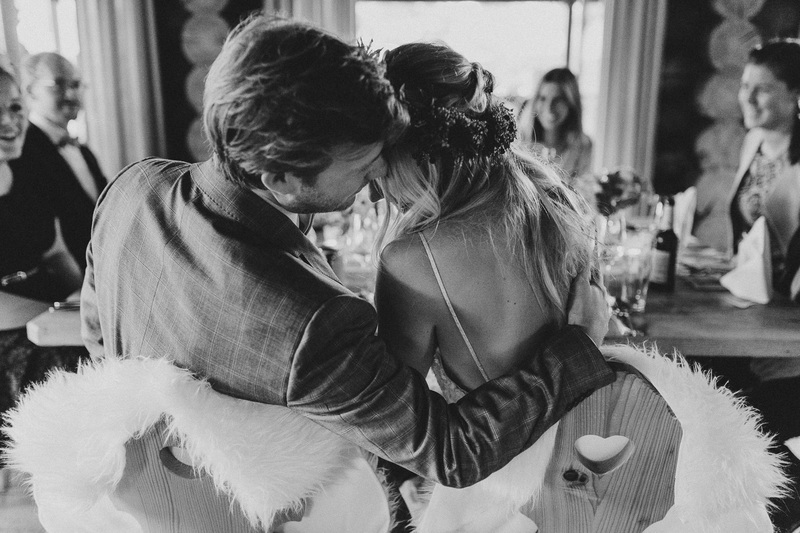 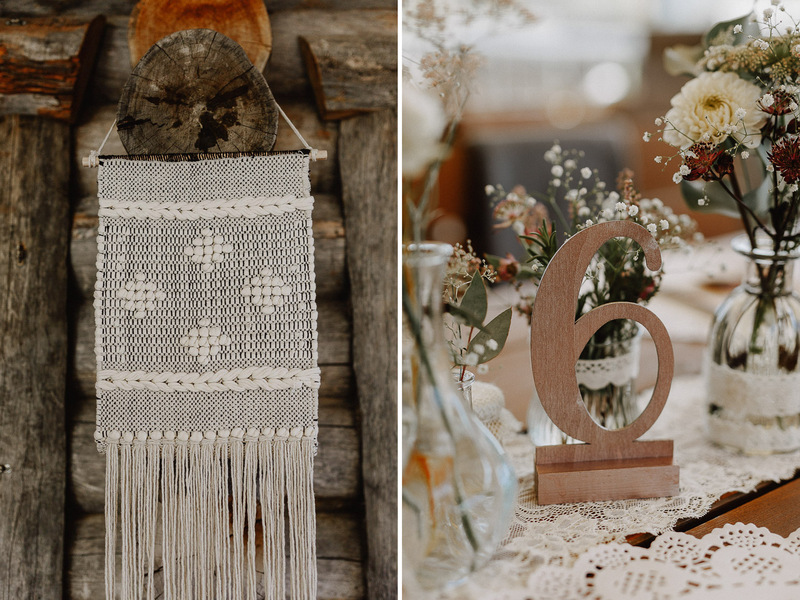 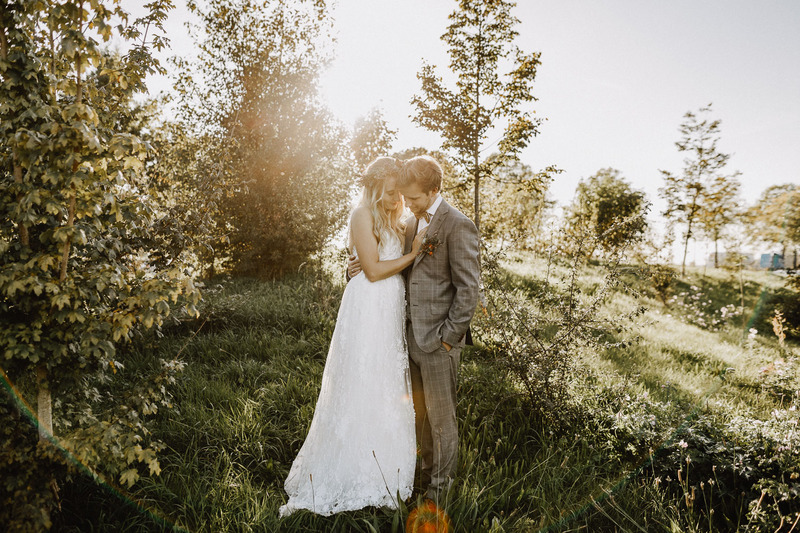 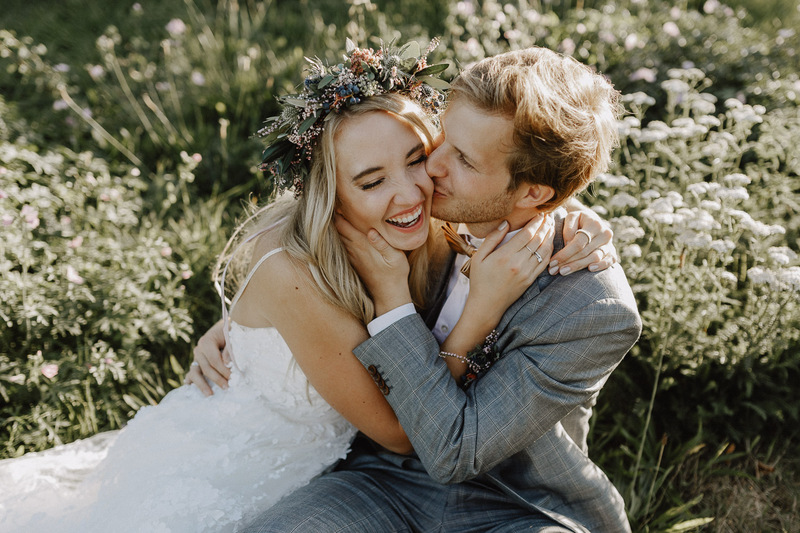 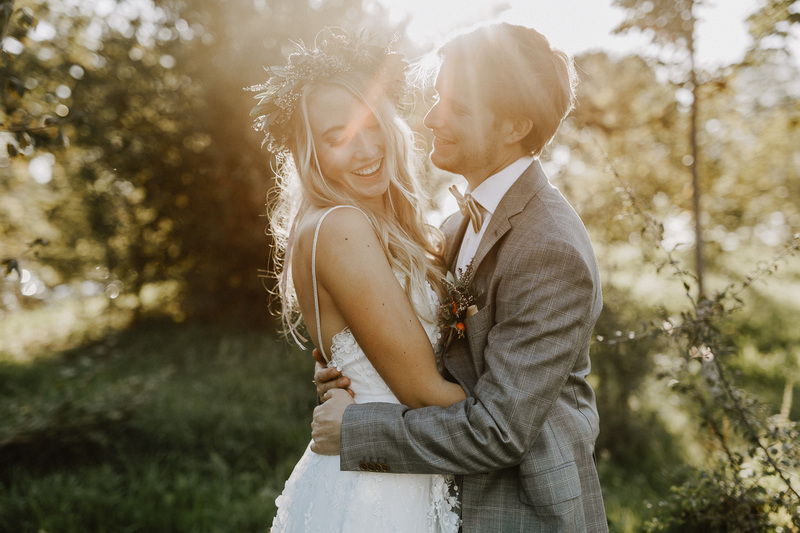 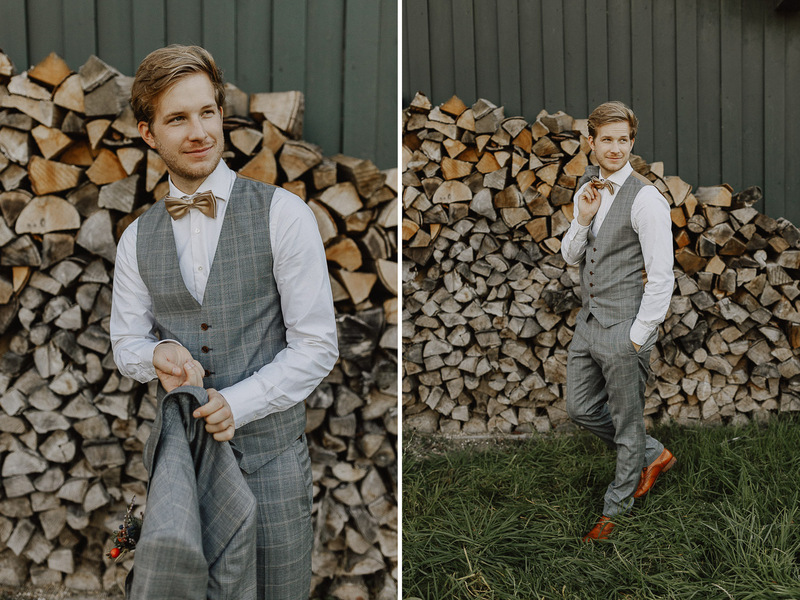 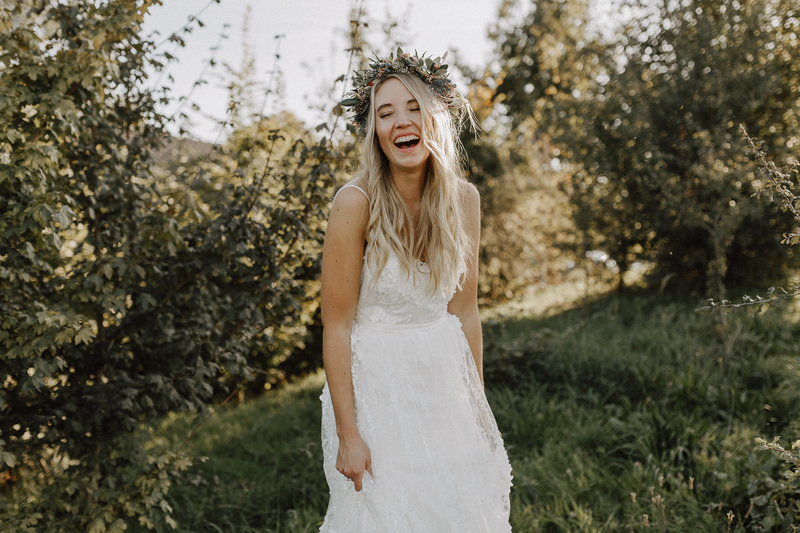 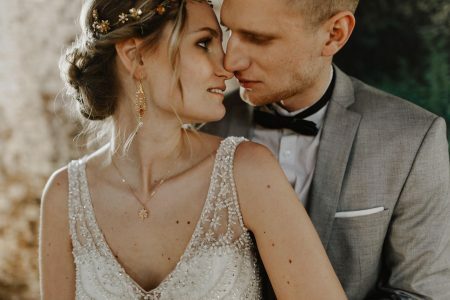 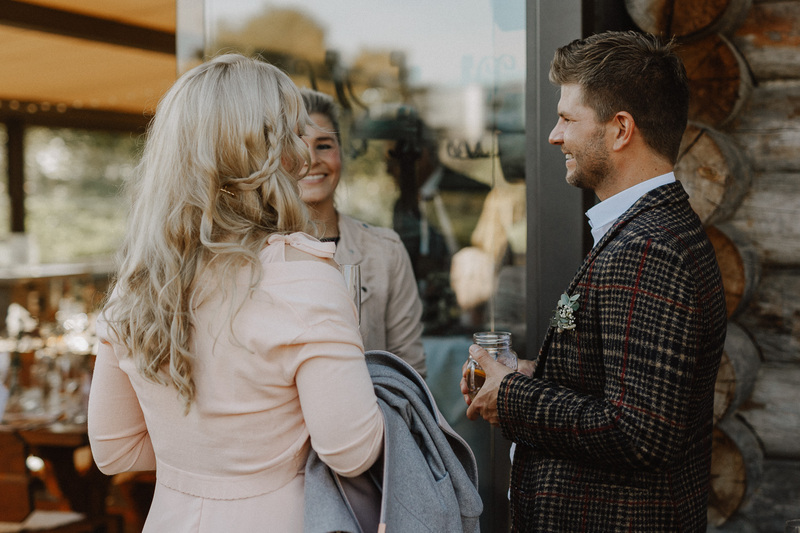 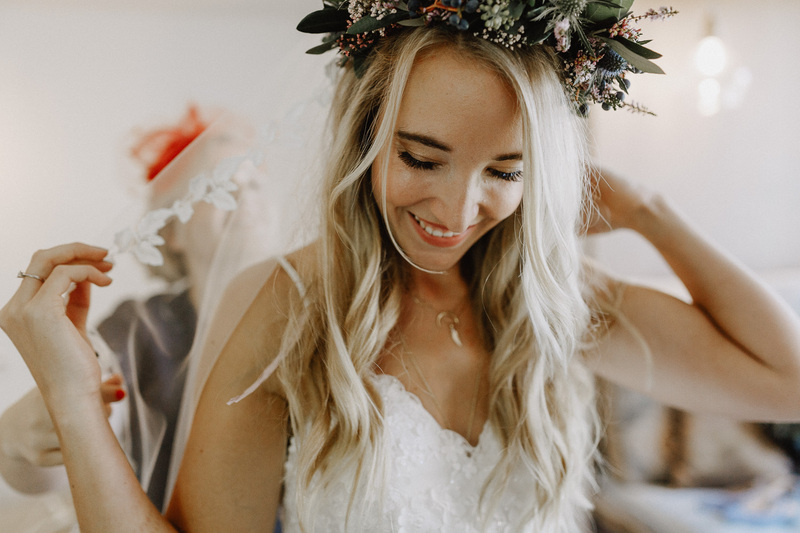 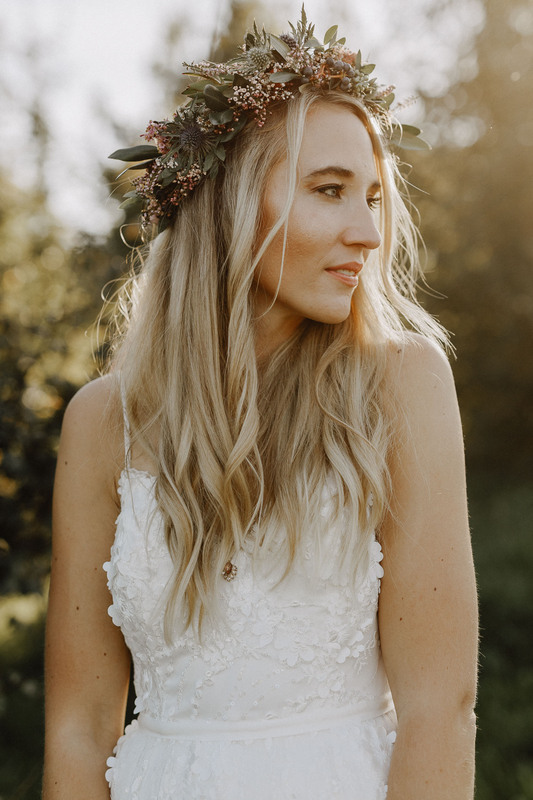 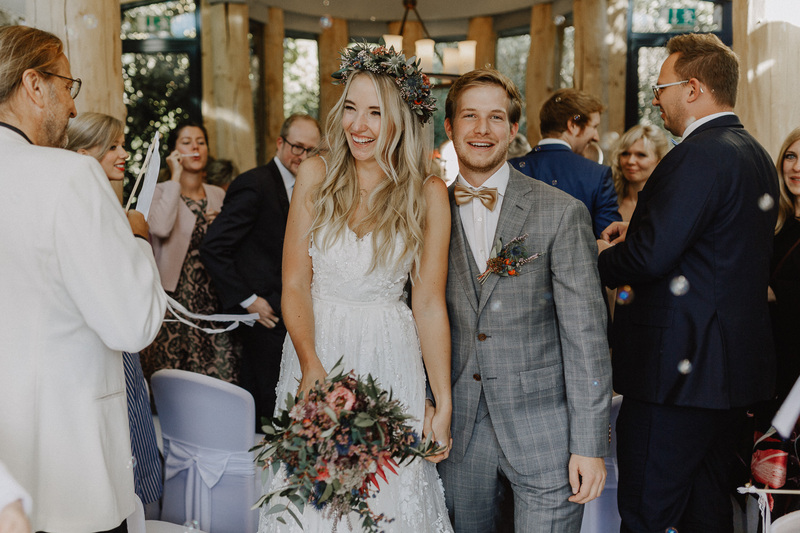 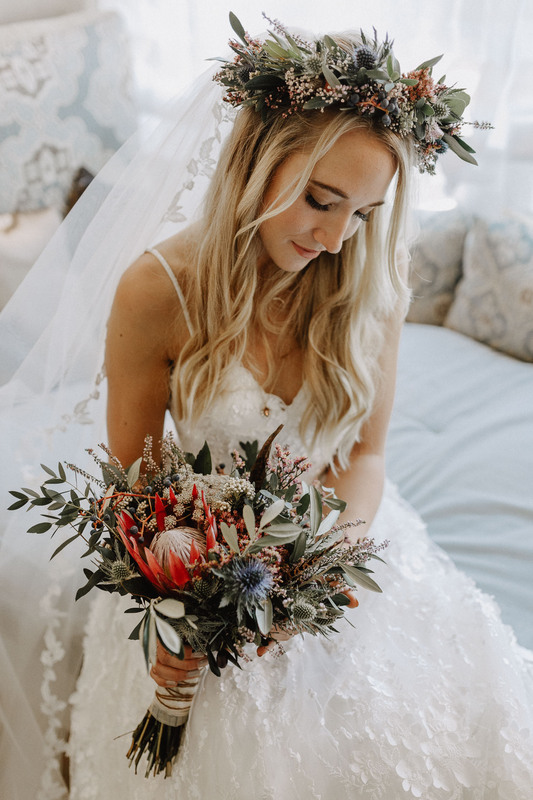 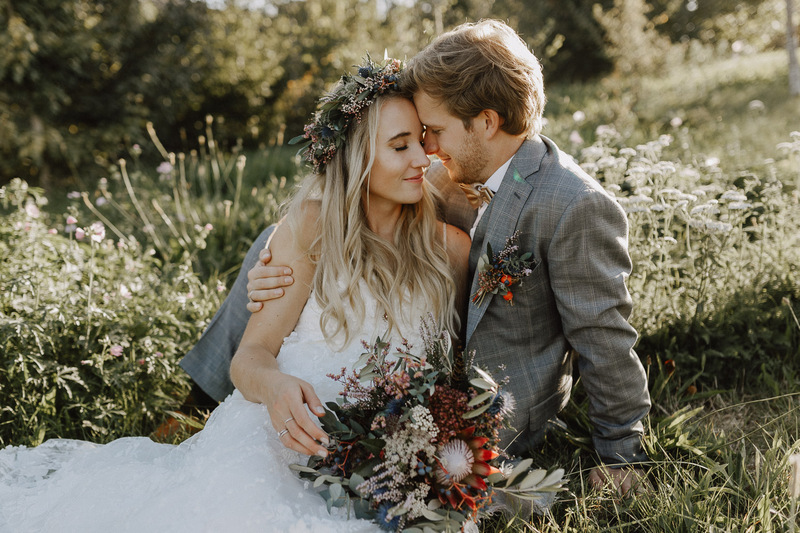 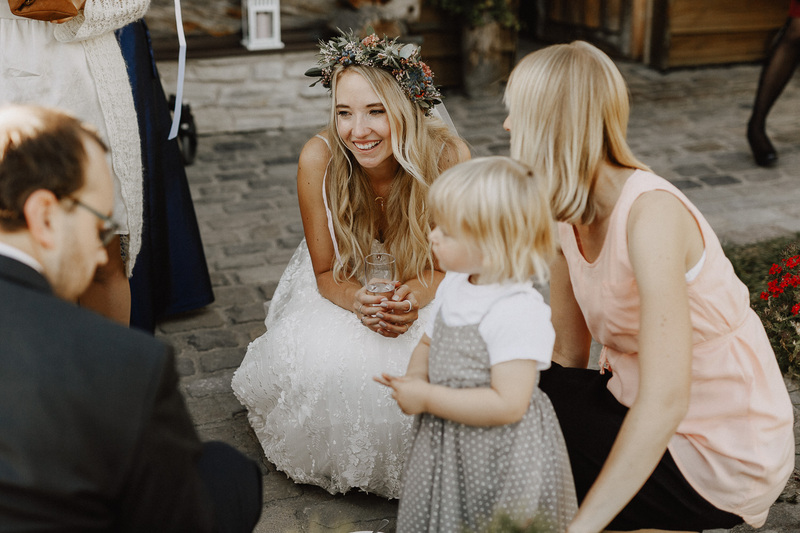 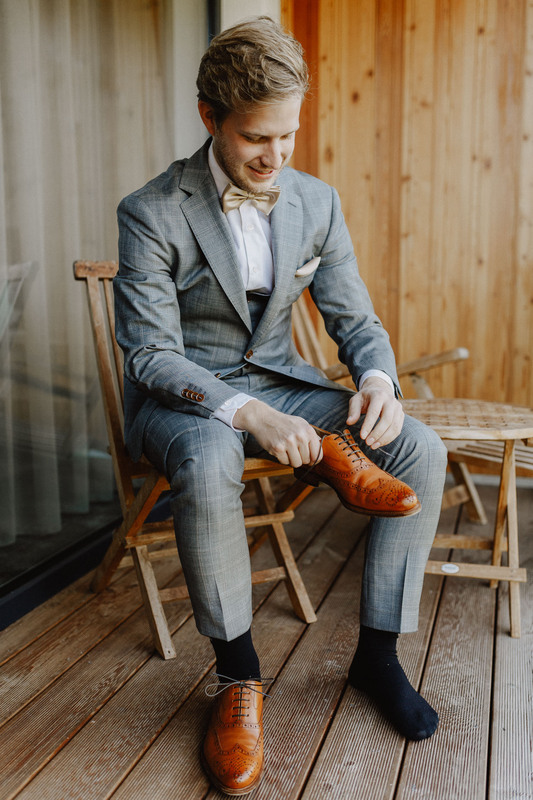 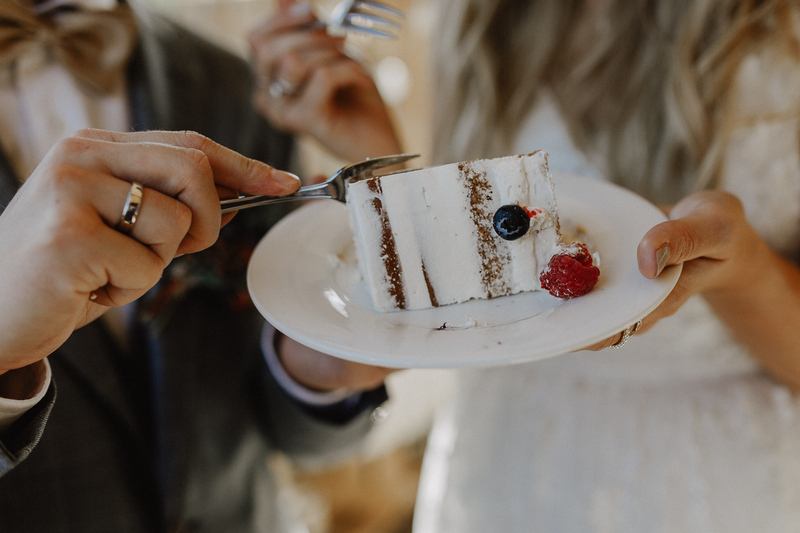 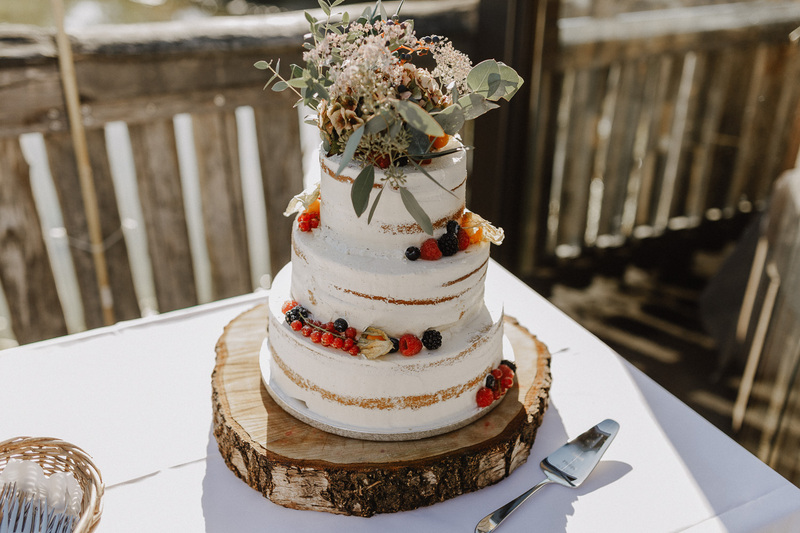 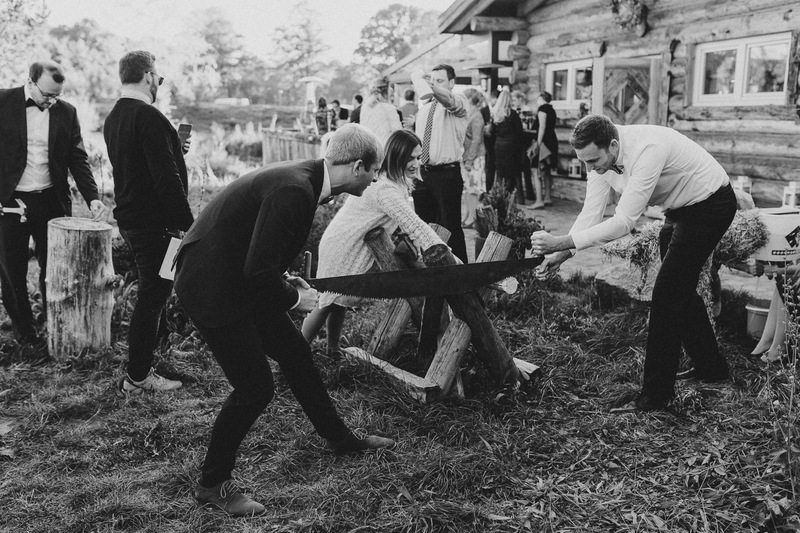 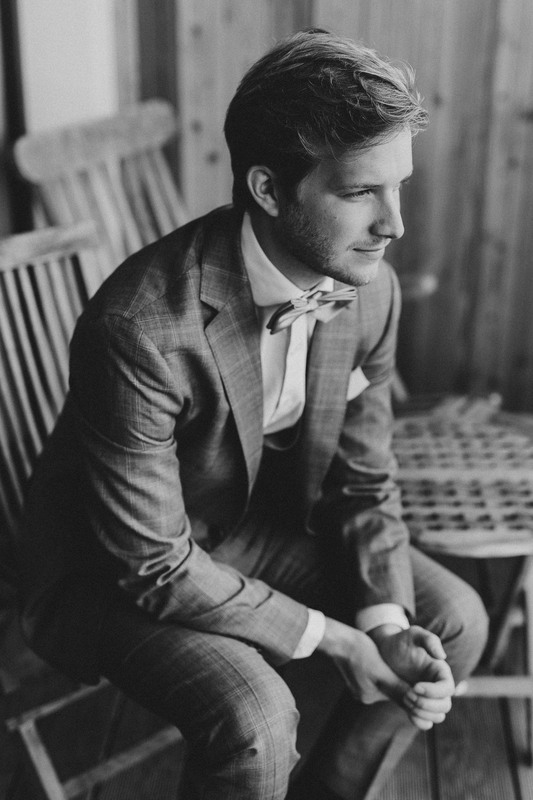 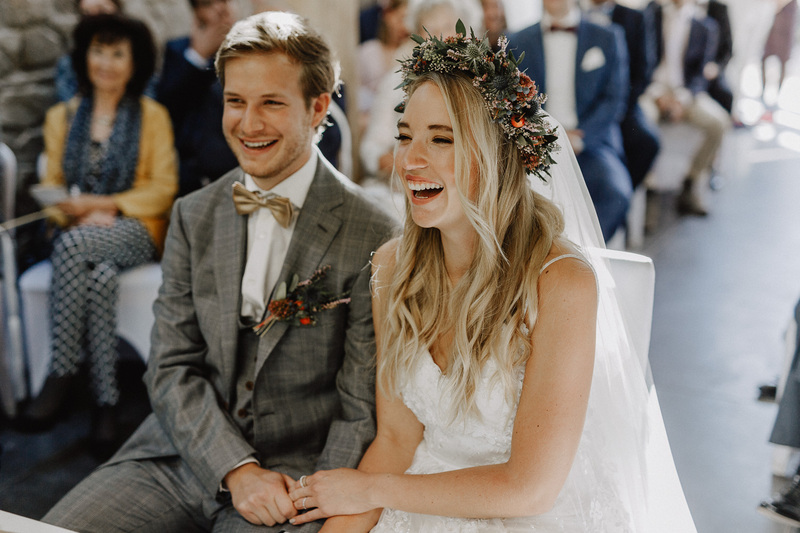 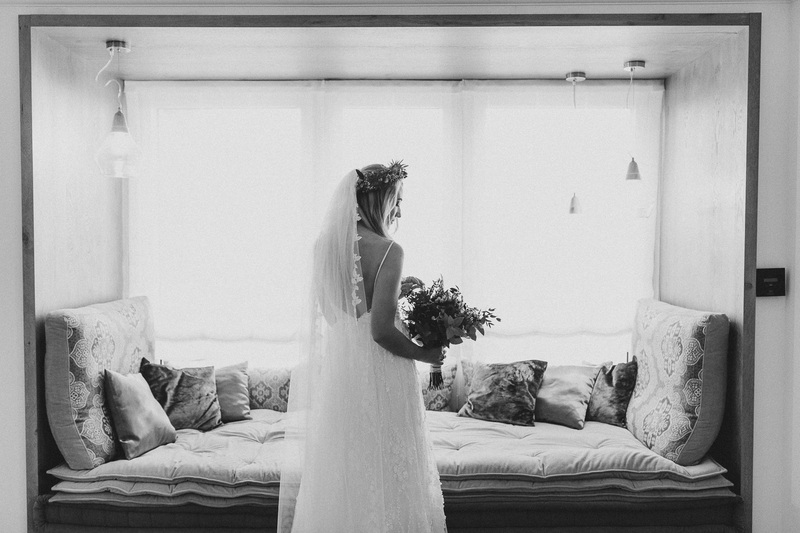 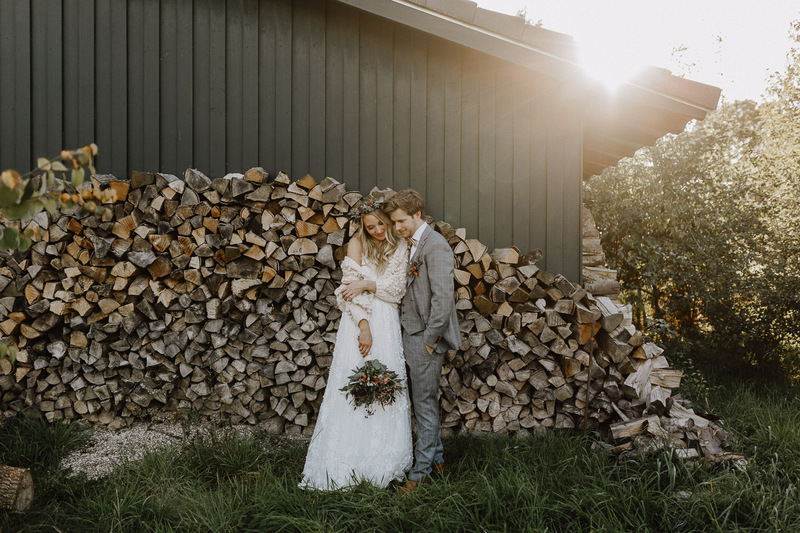 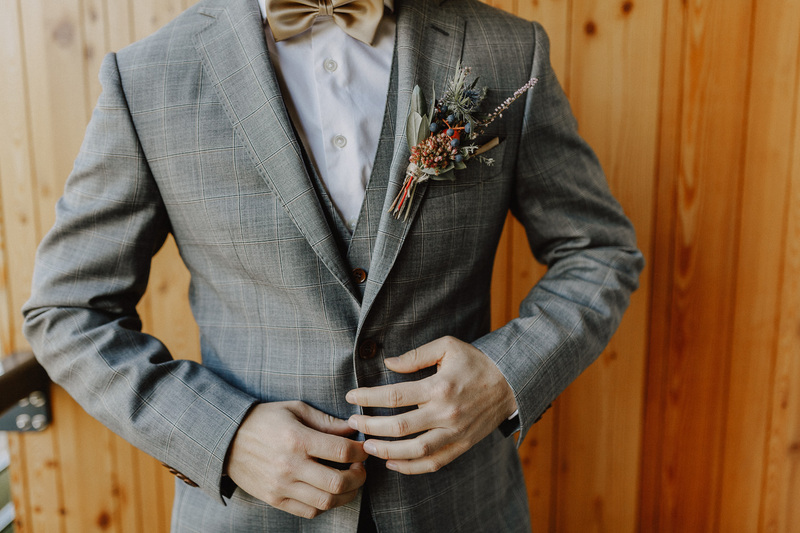 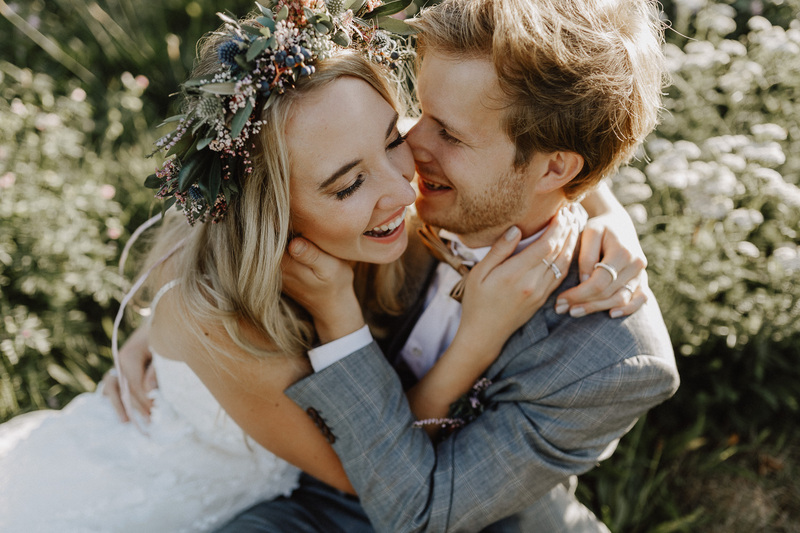 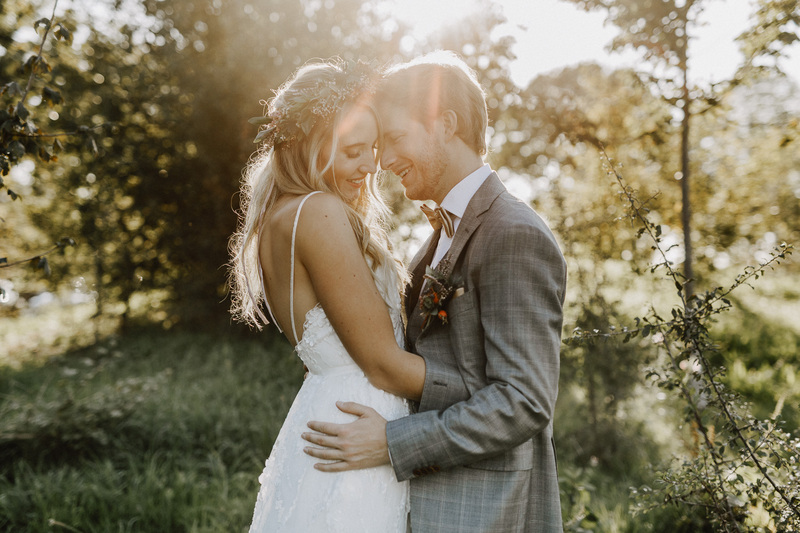 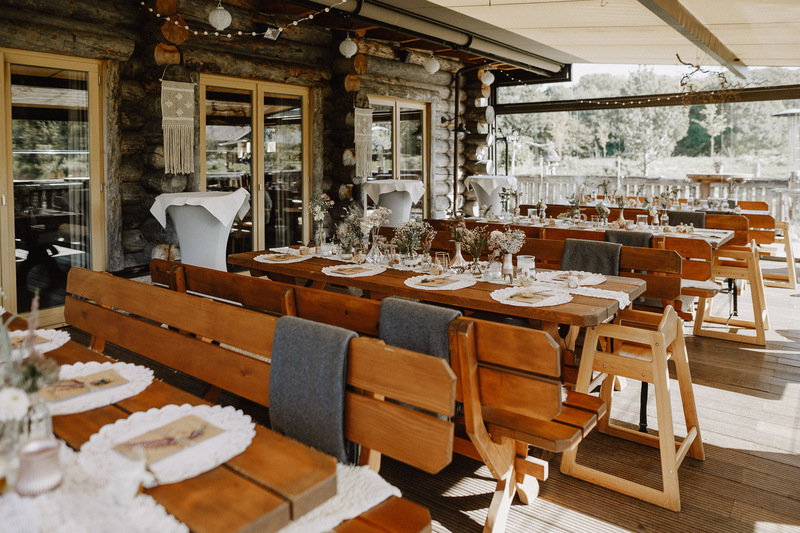 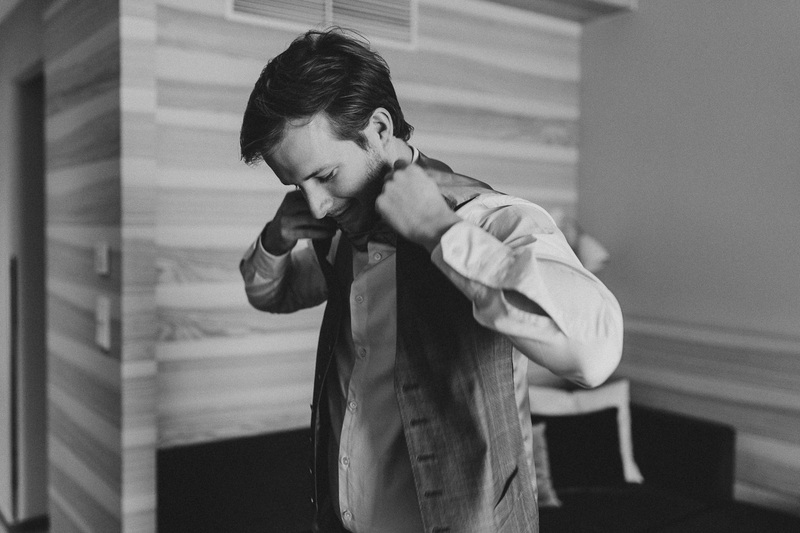 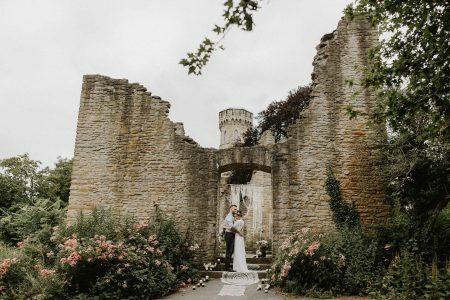 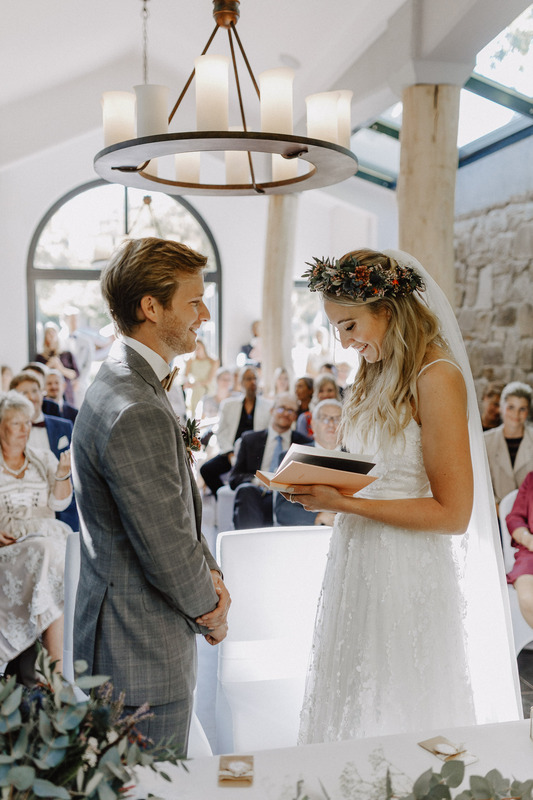 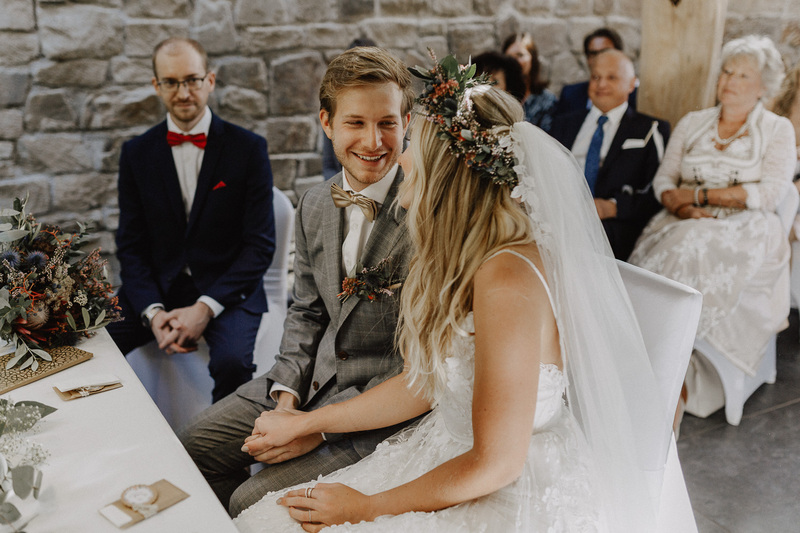 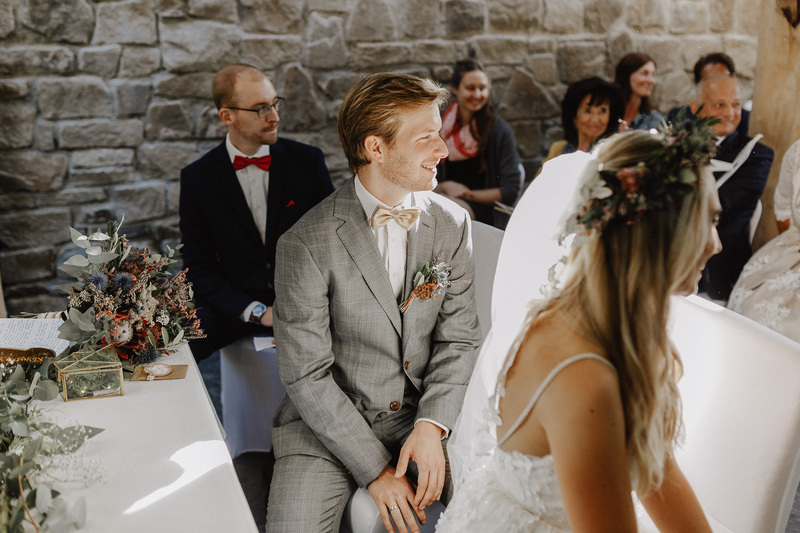 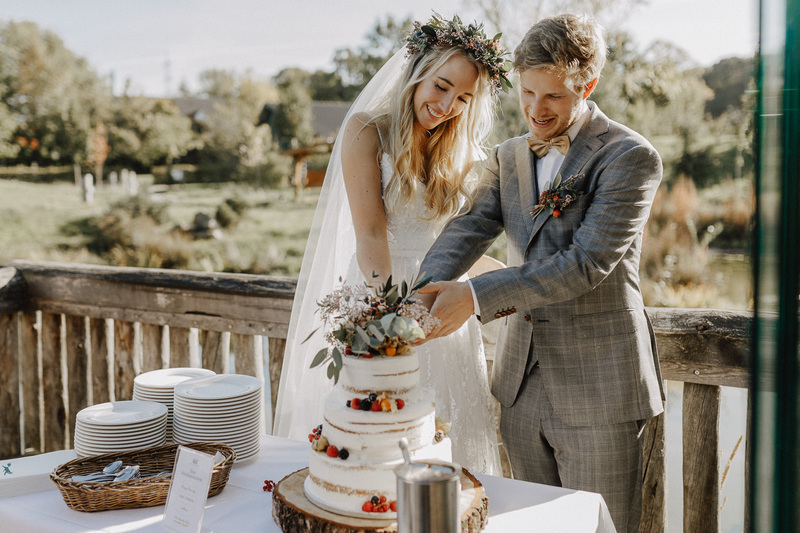 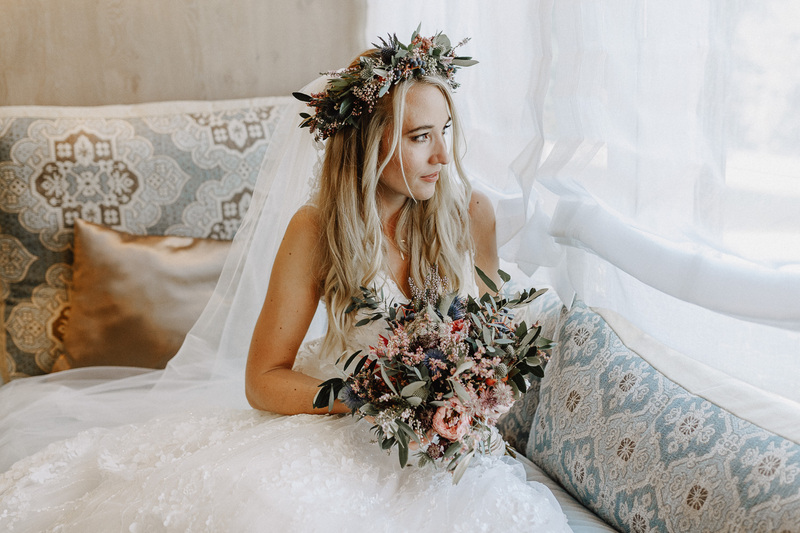 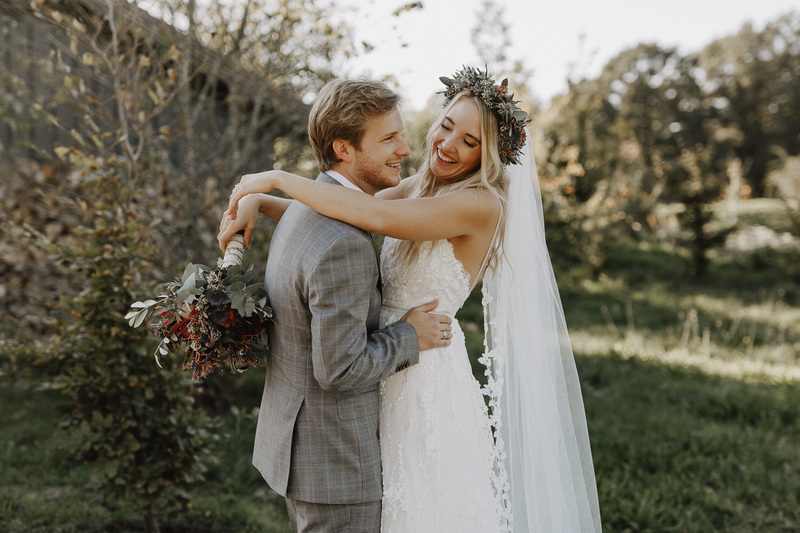 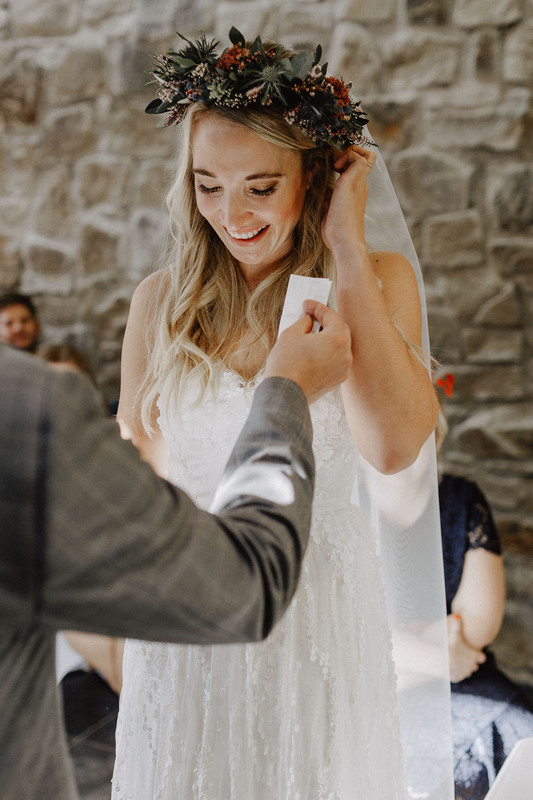 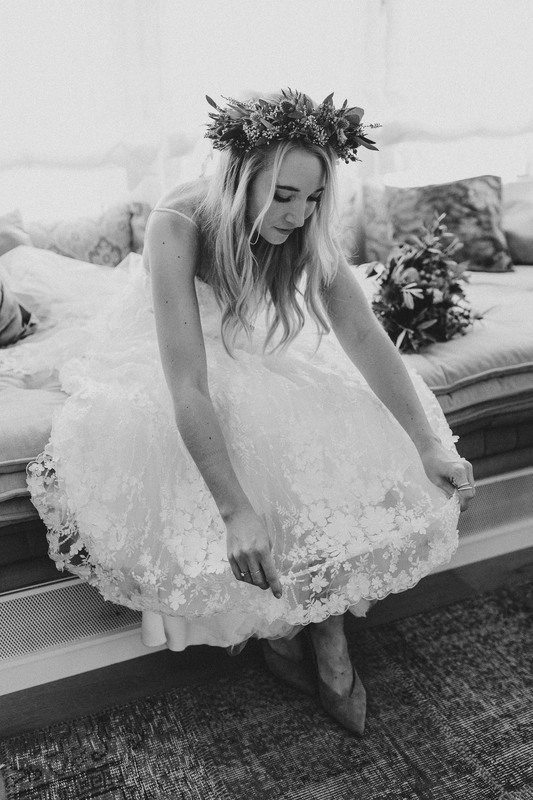 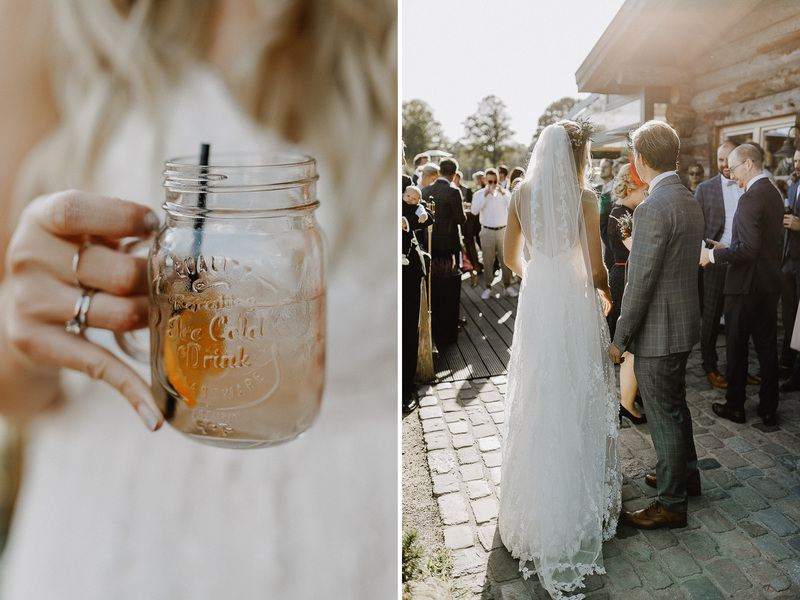 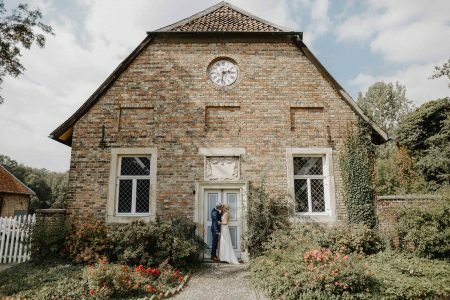 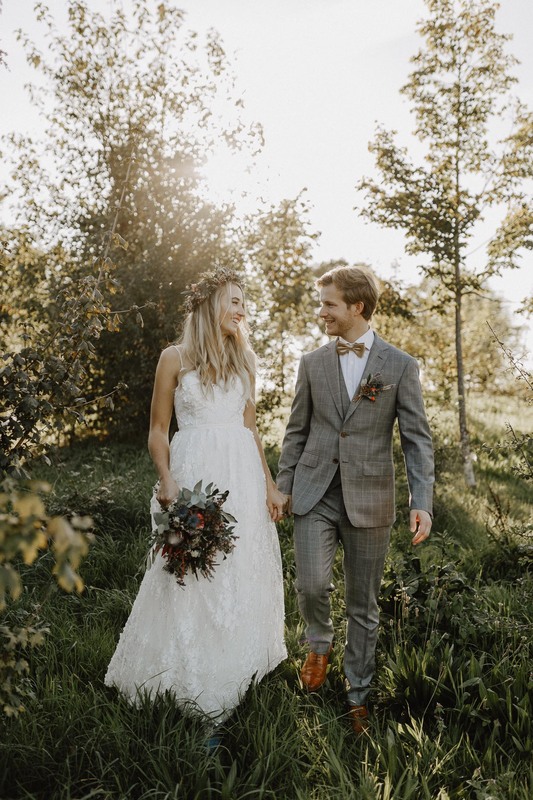 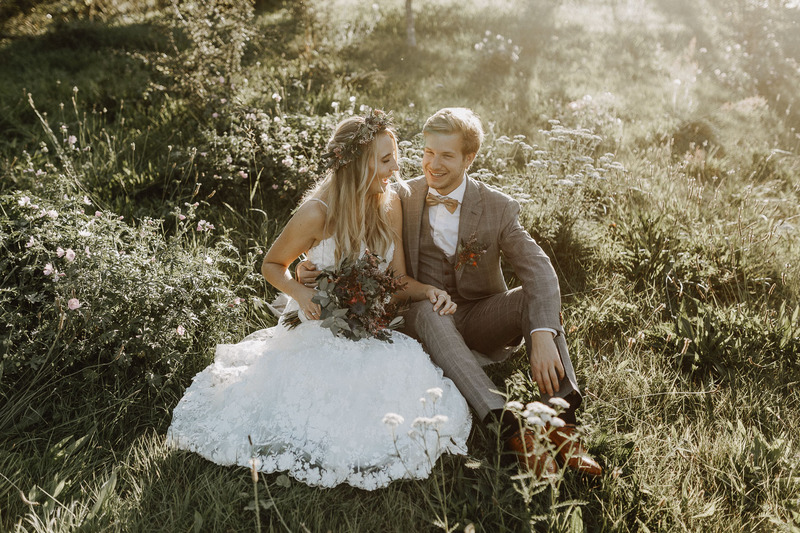 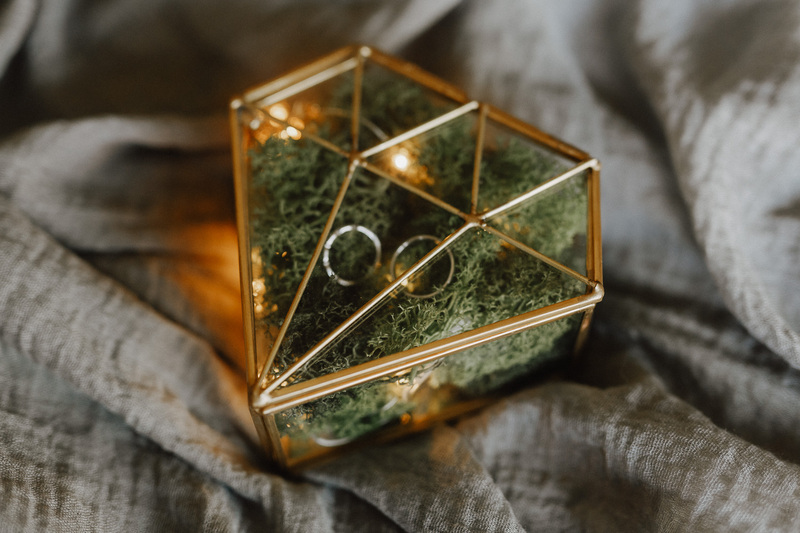 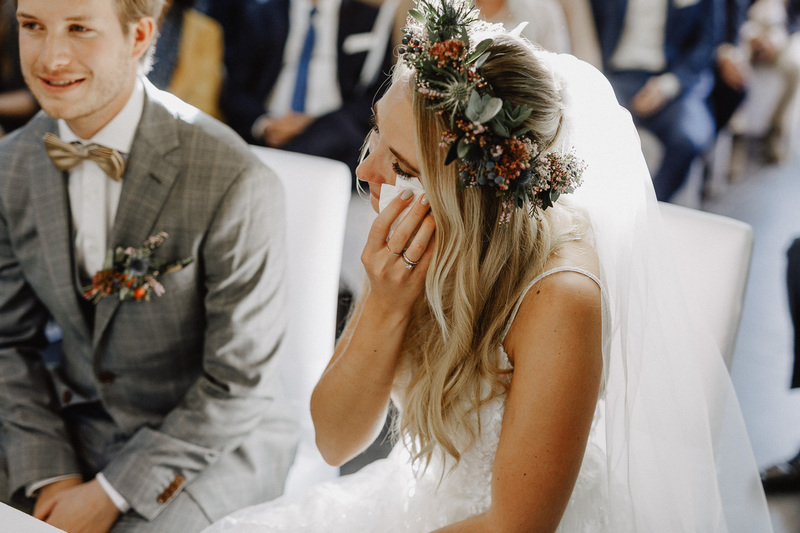 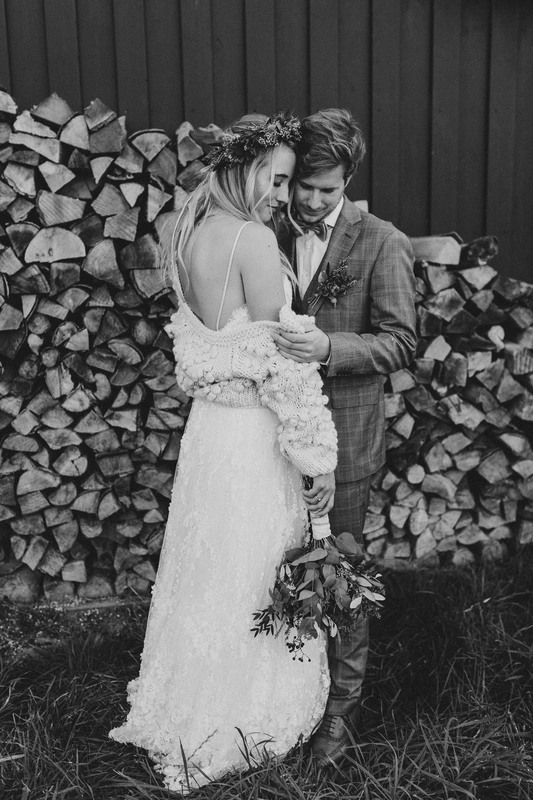 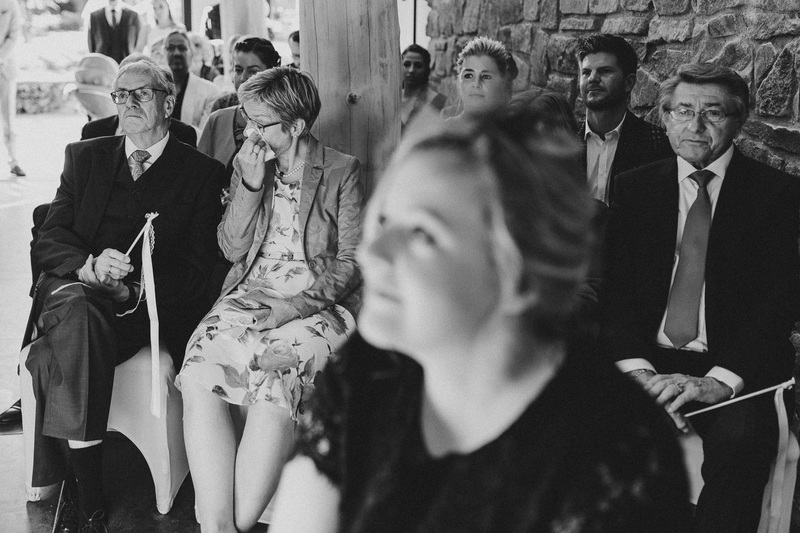 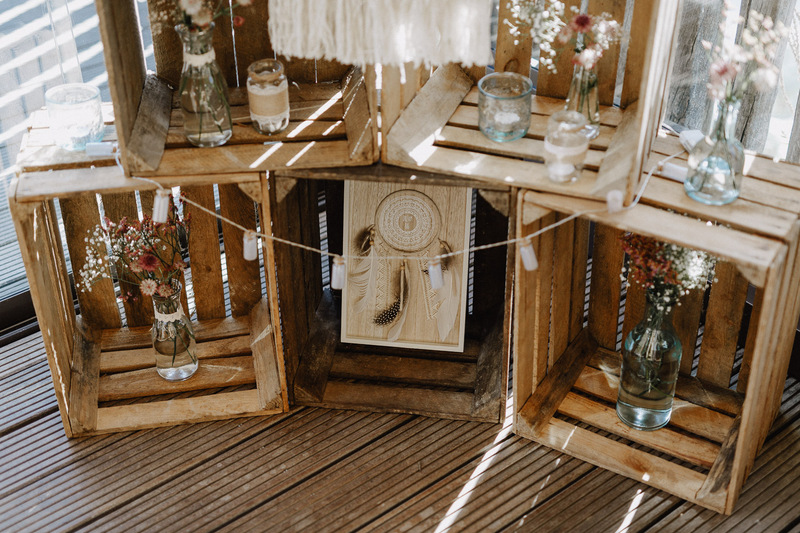 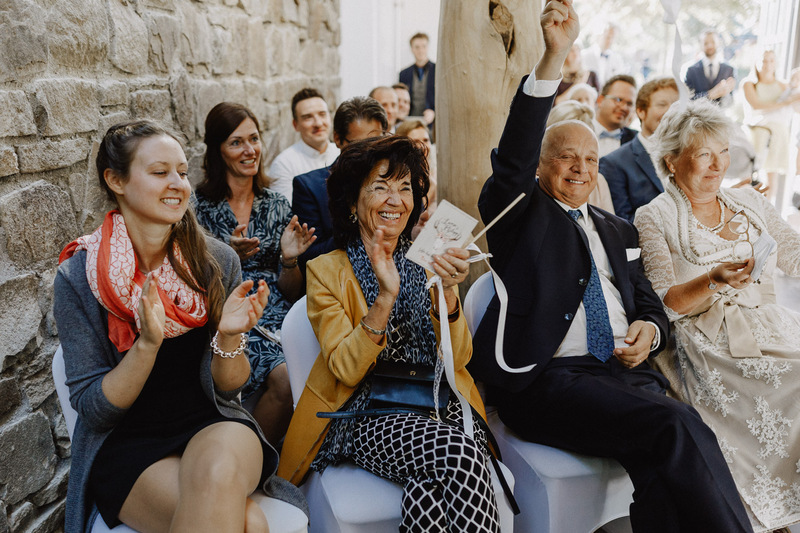 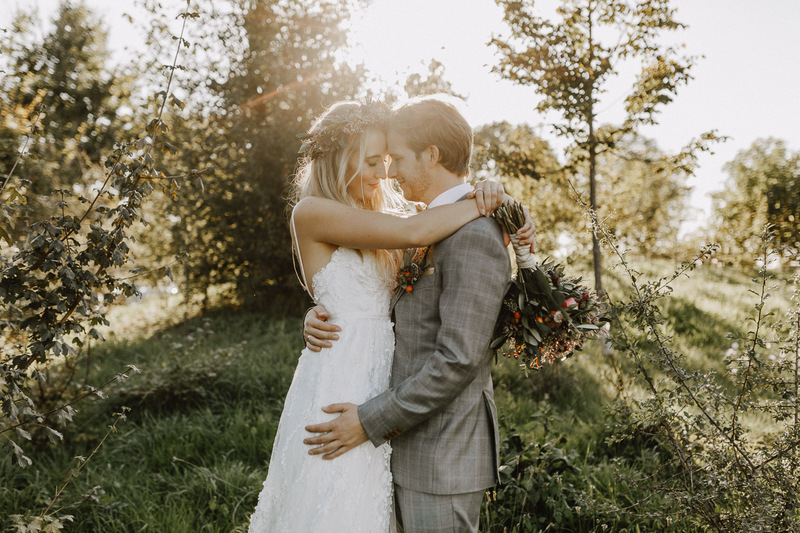 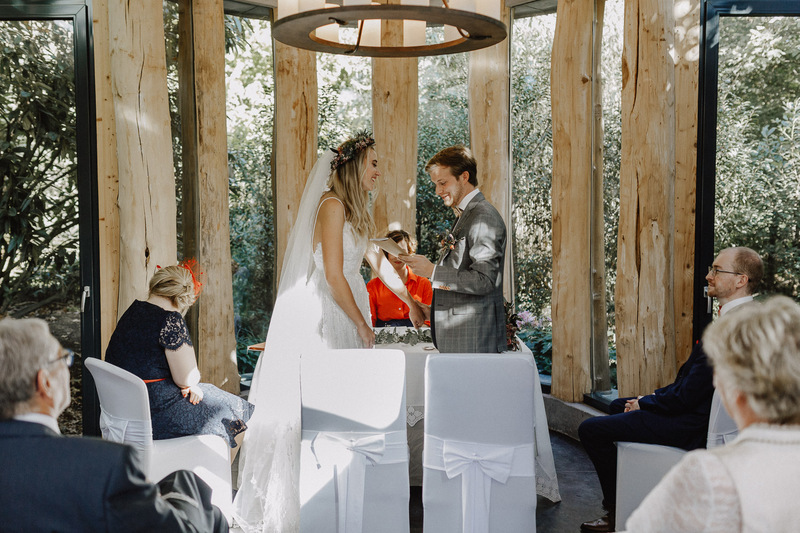 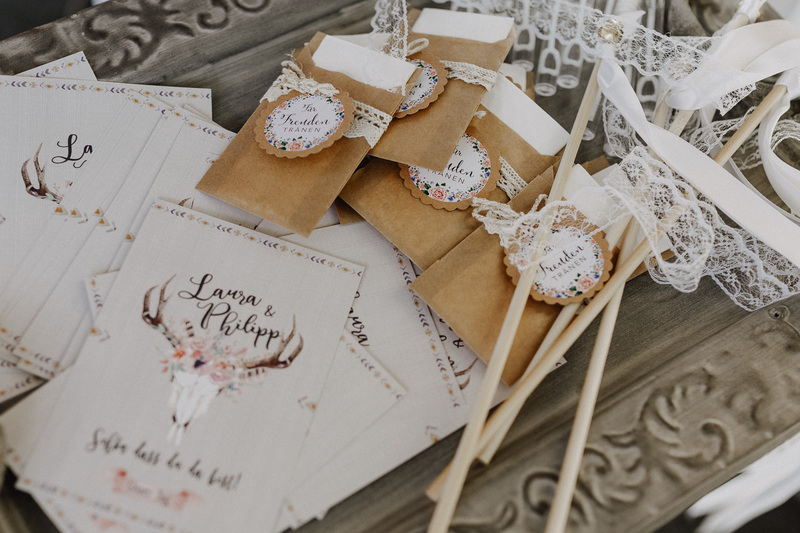 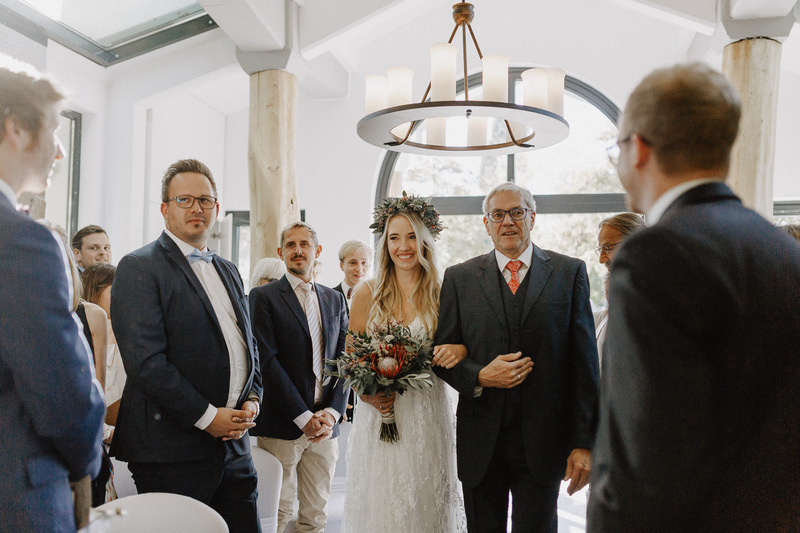 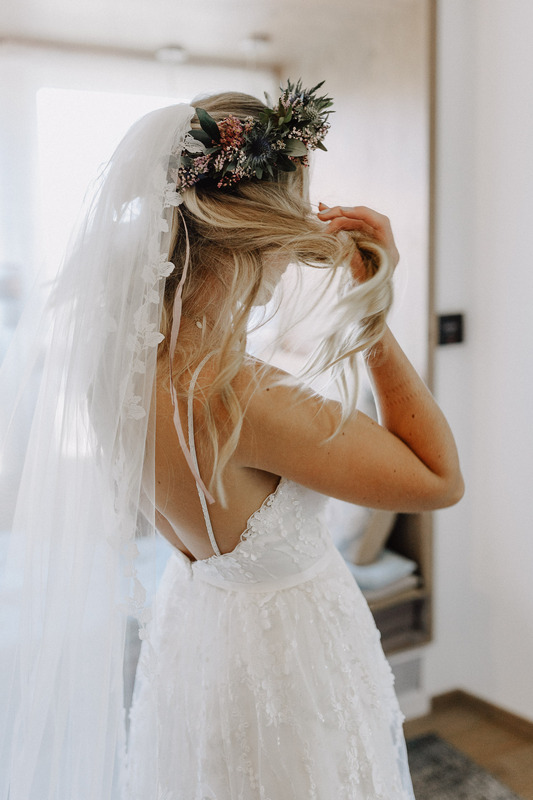 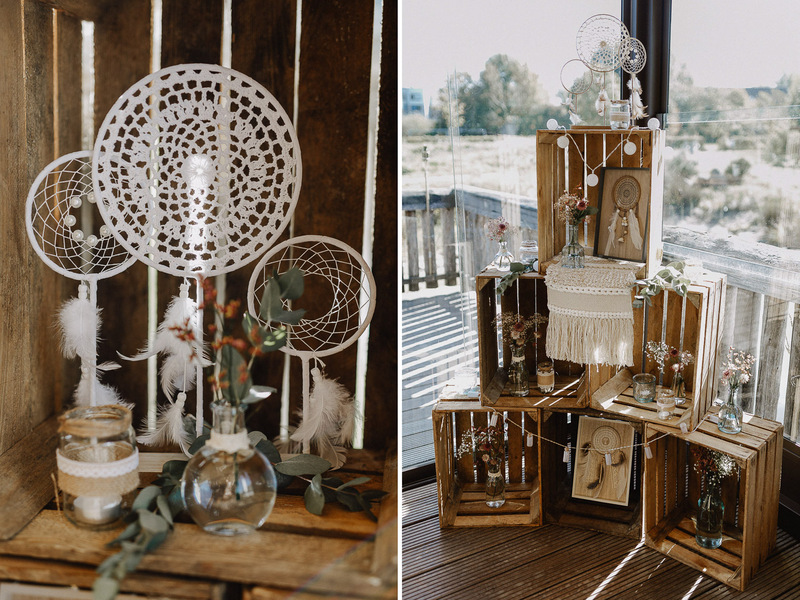 On one of the last sunny and warm weekends in October 2018 Laura and Philipp celebrated their small and intimate wedding in a bohemian style at a small hutt, that reminds us of the Alps. 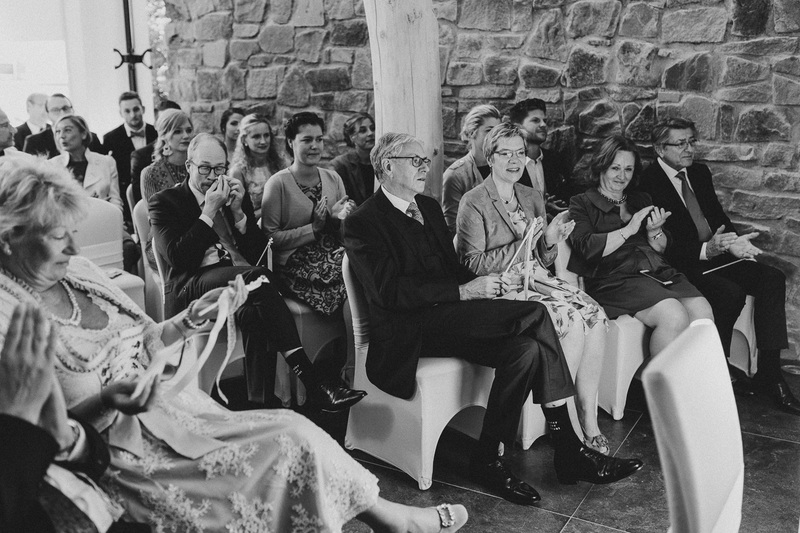 Very special was their civil ceremony which felt more like a free ceremony. 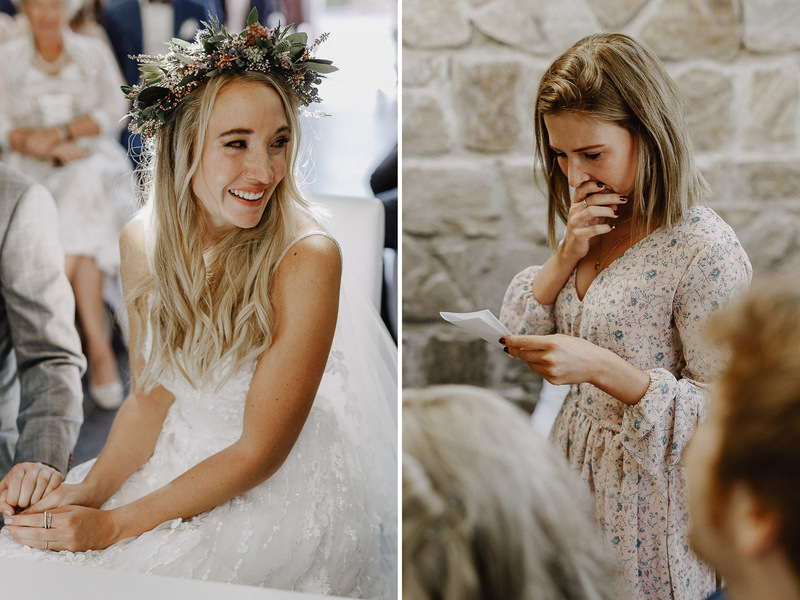 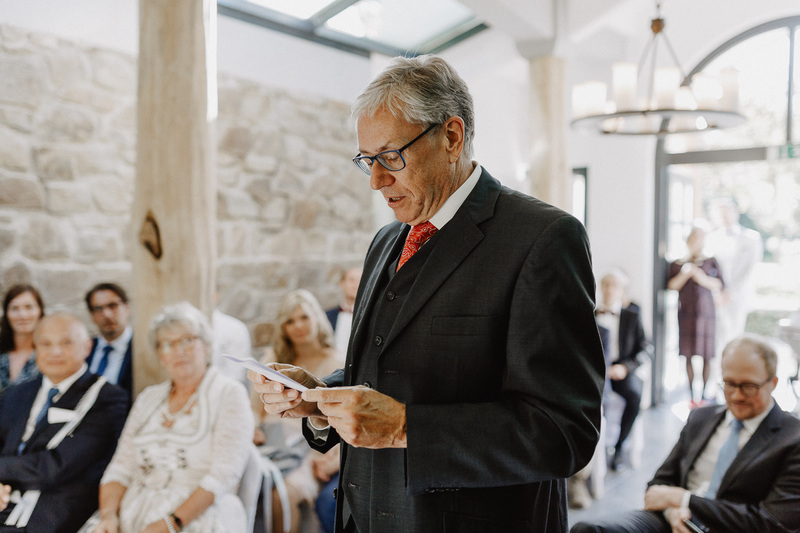 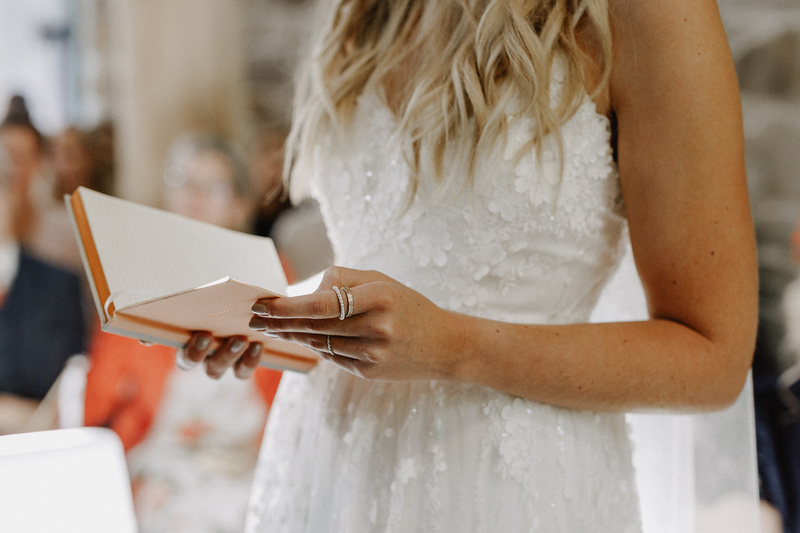 They read to each other personal vows, their friends got up and read to them their wishes for their future. 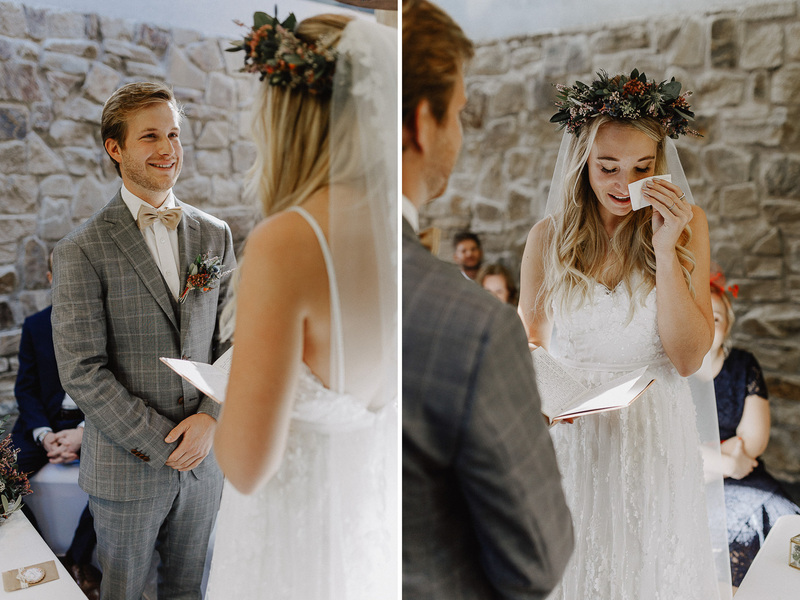 It was so unique and everyone got teary! 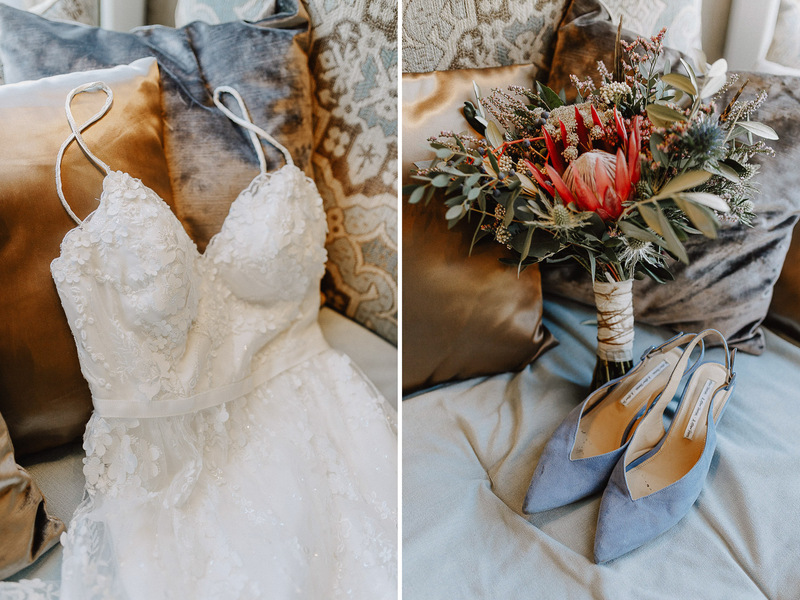 Laura studied fashion and she truly got a thing for details. 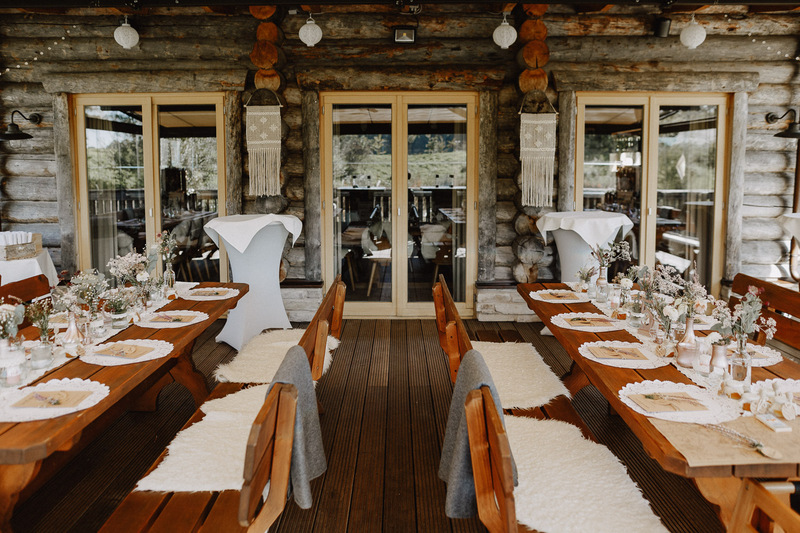 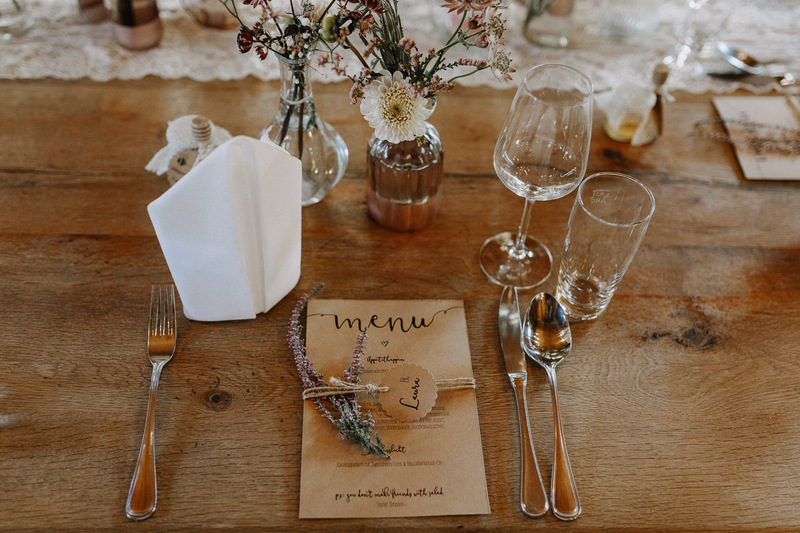 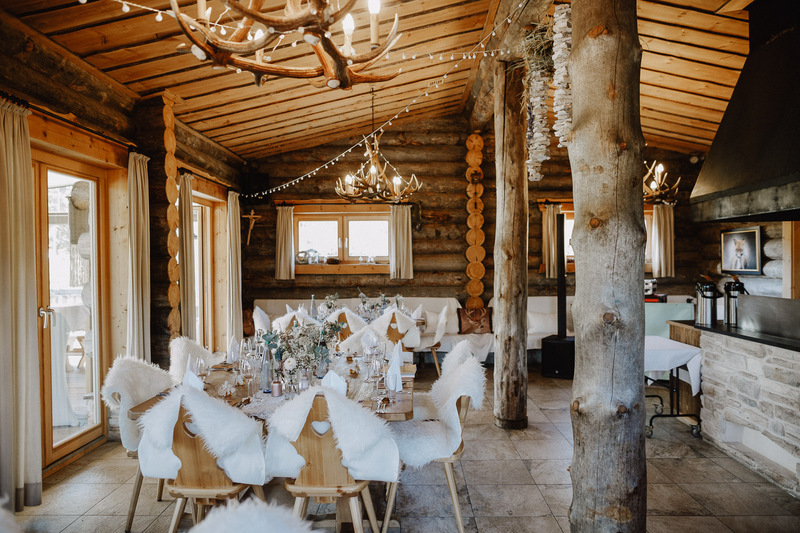 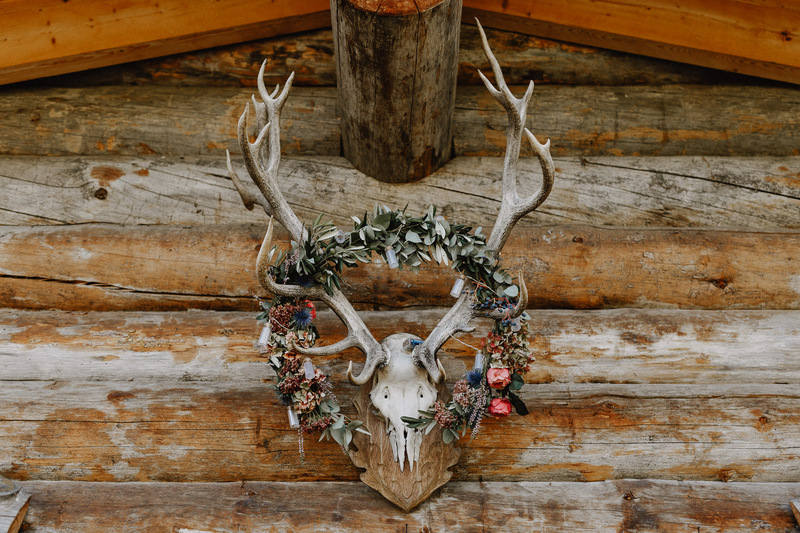 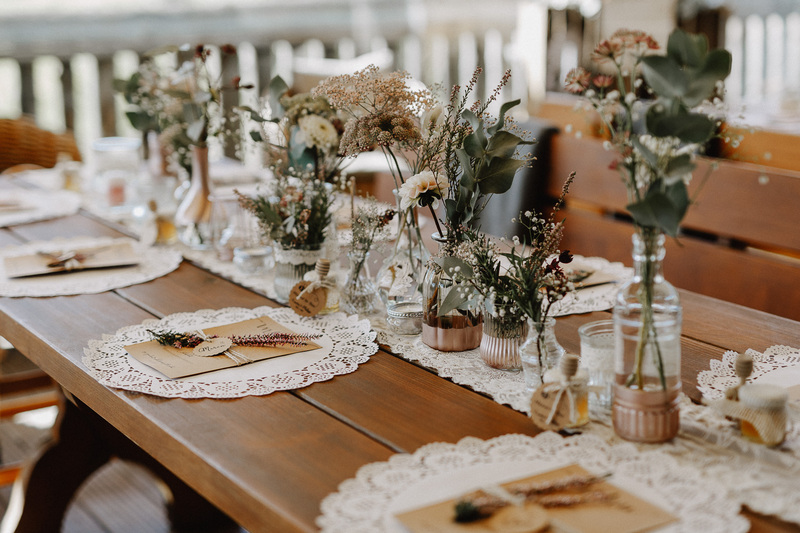 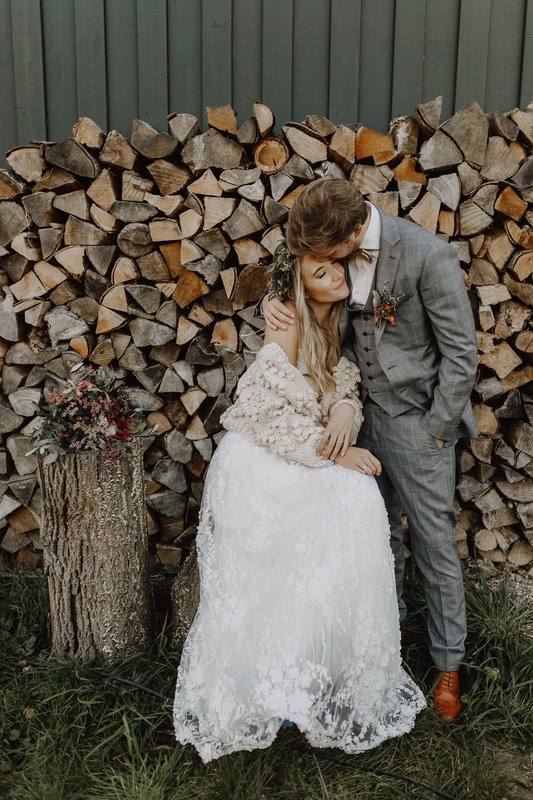 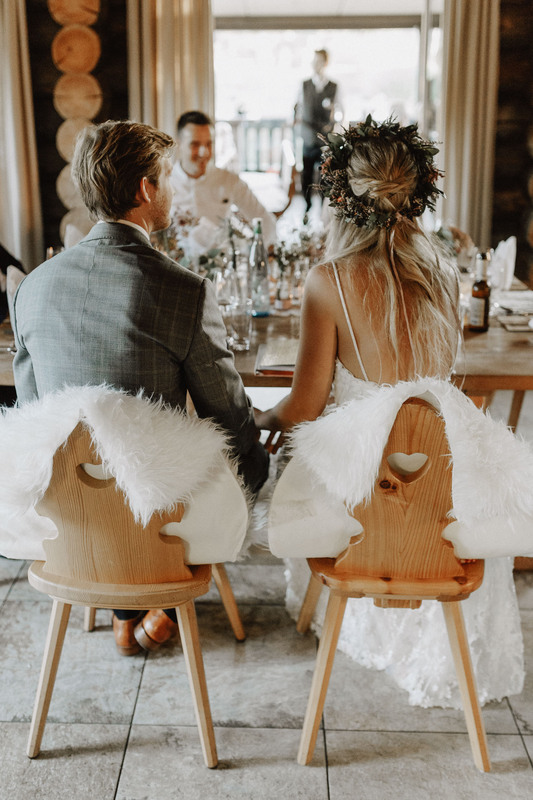 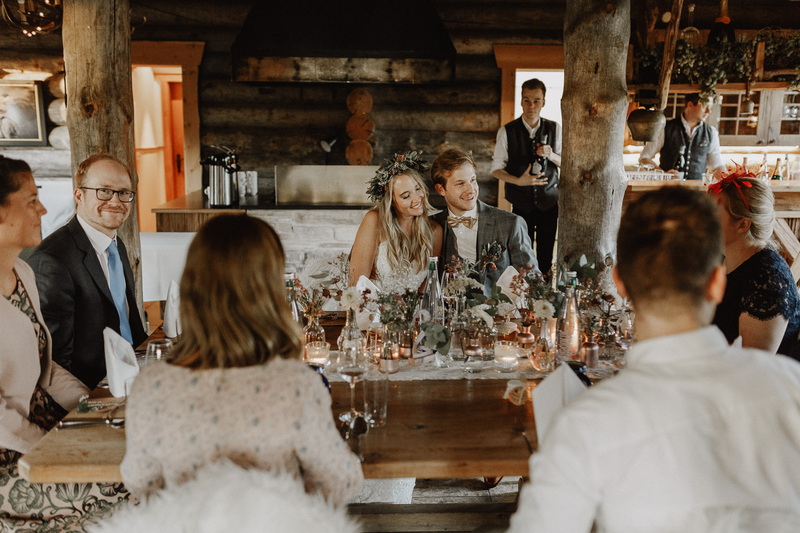 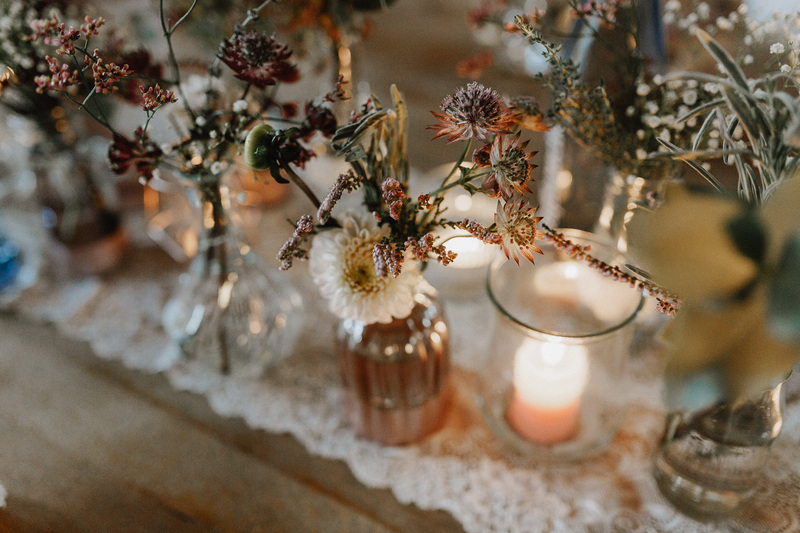 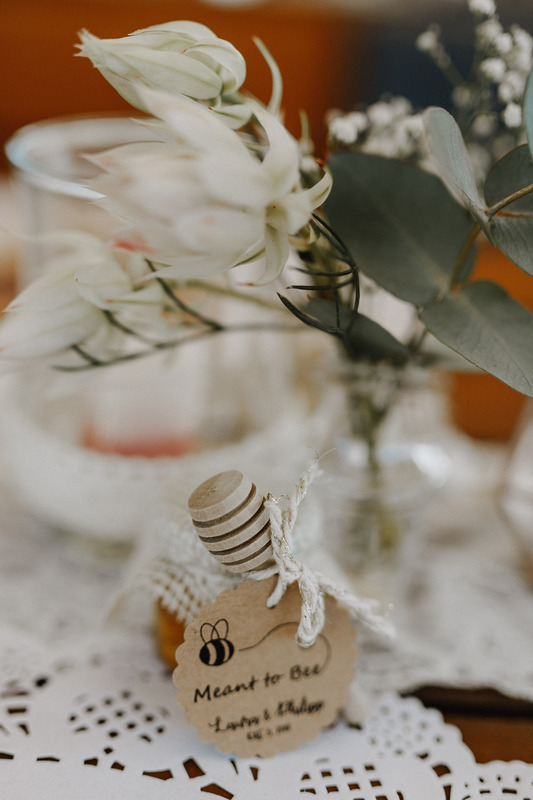 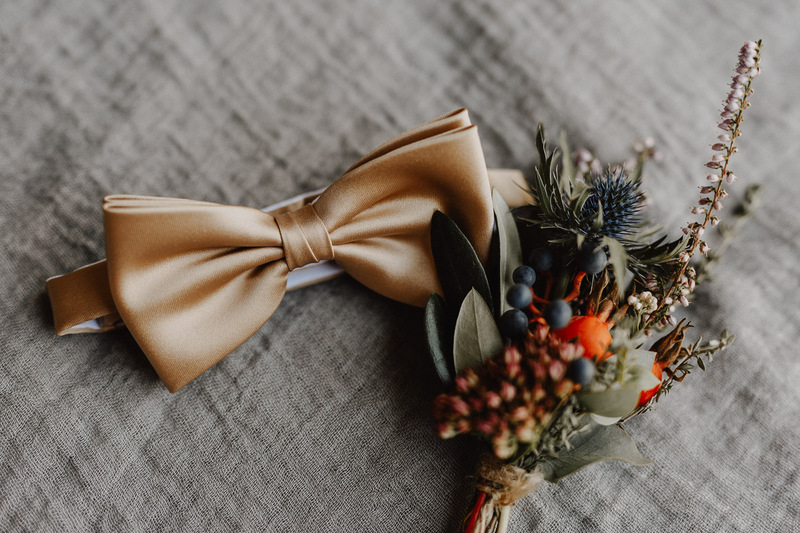 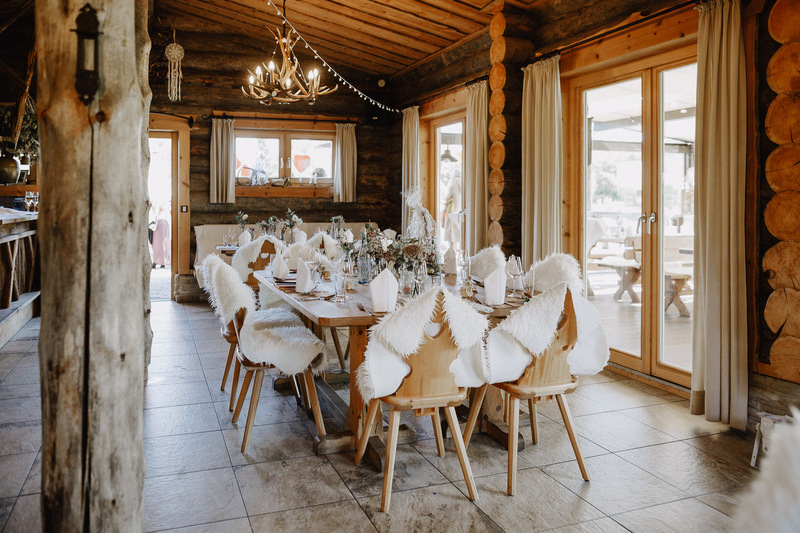 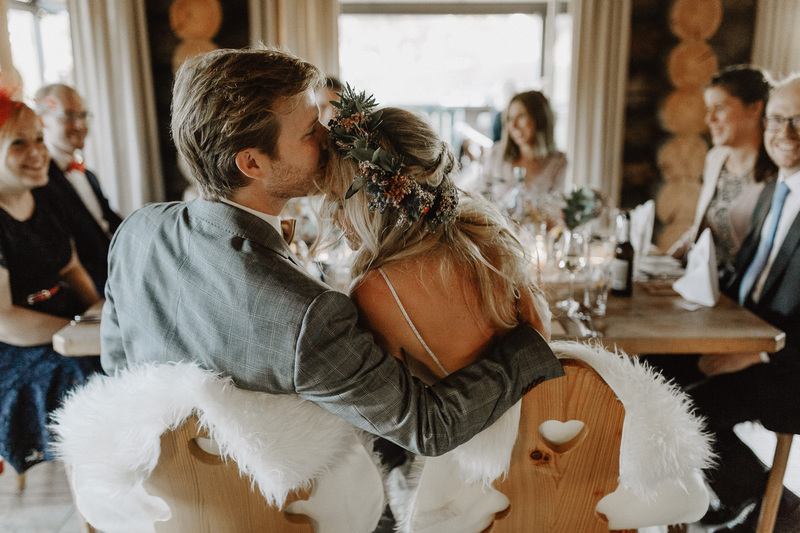 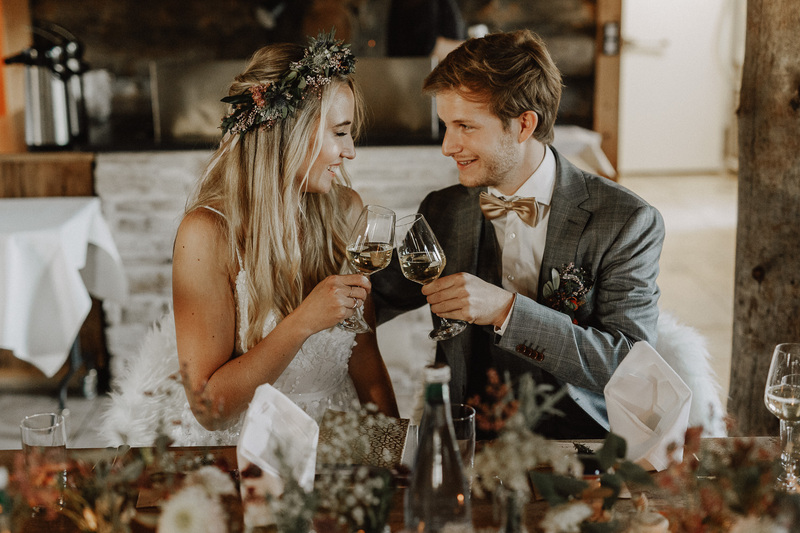 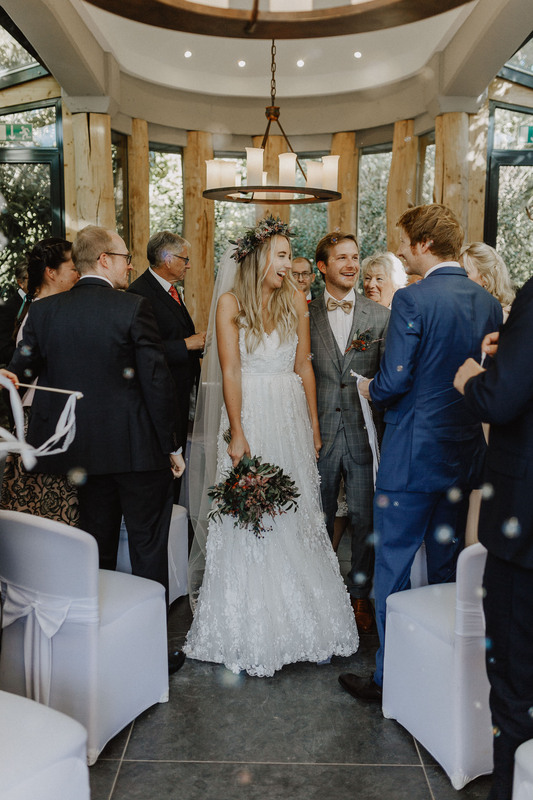 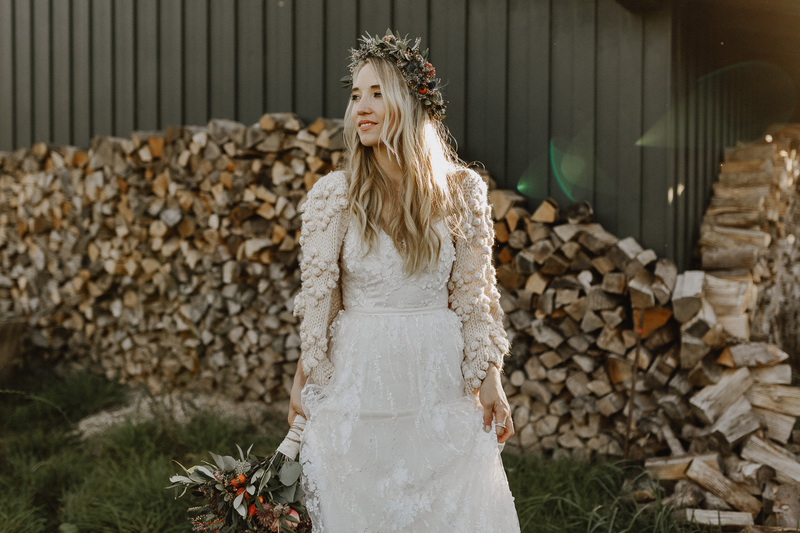 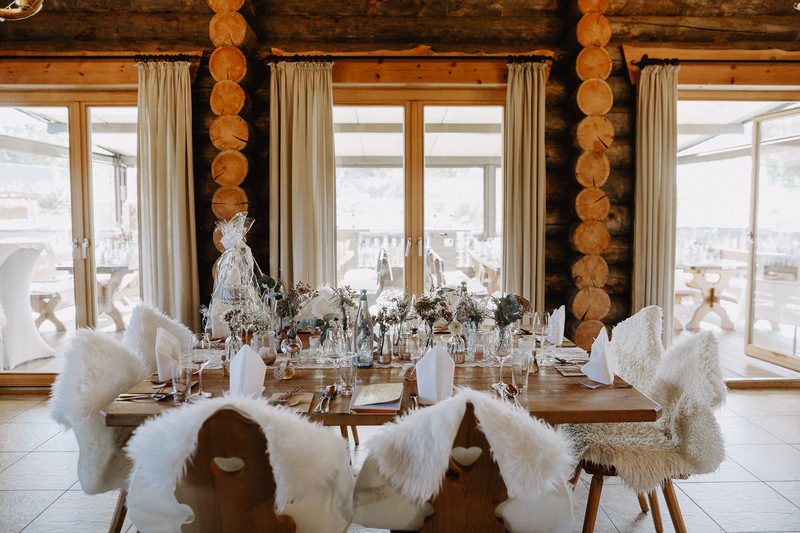 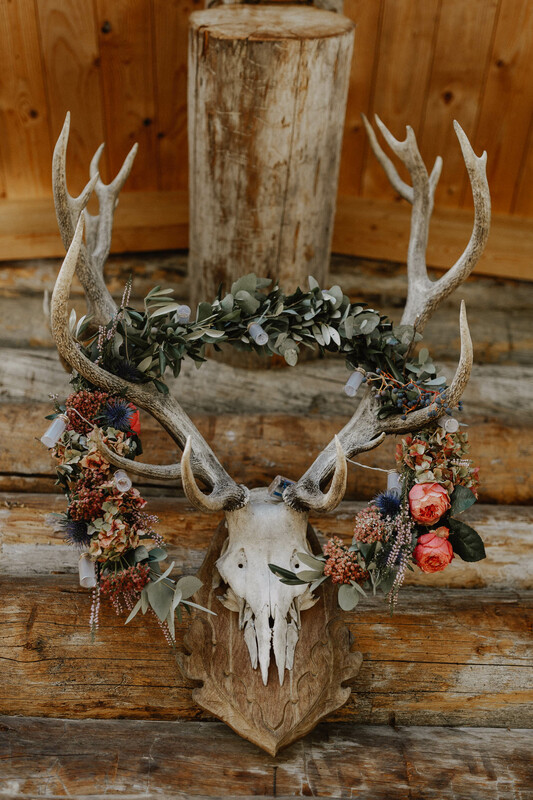 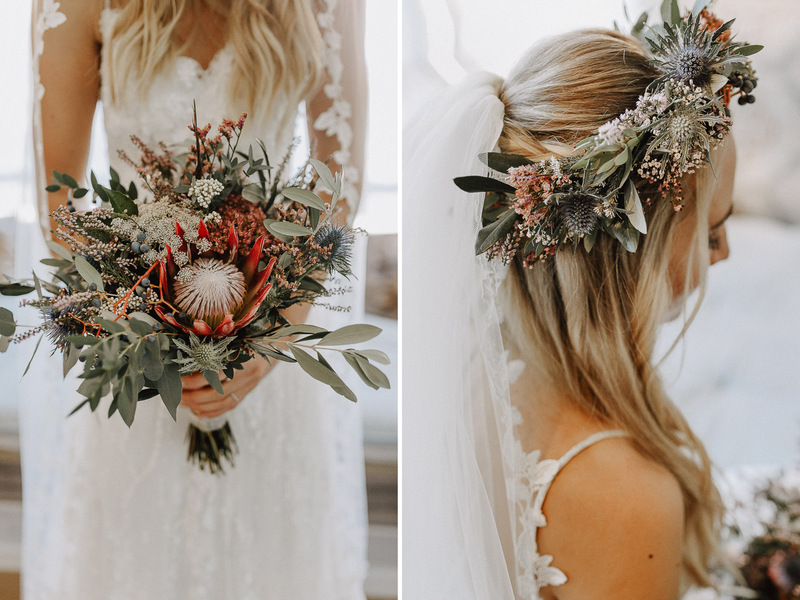 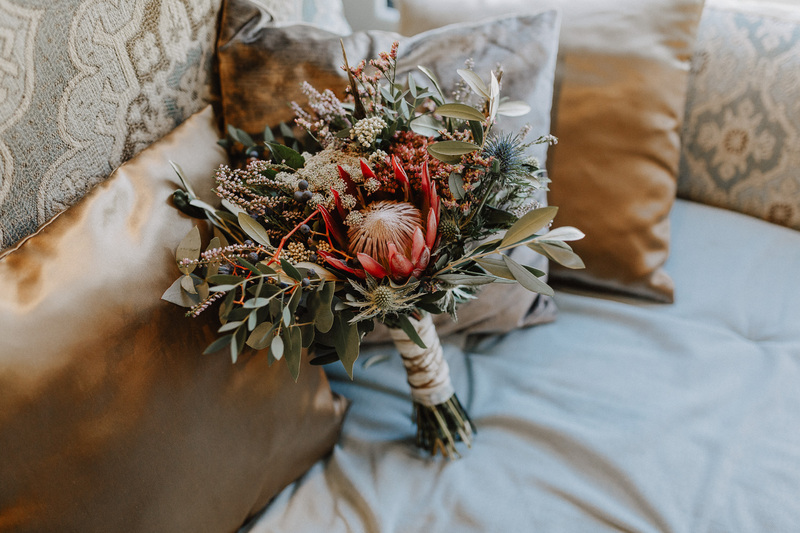 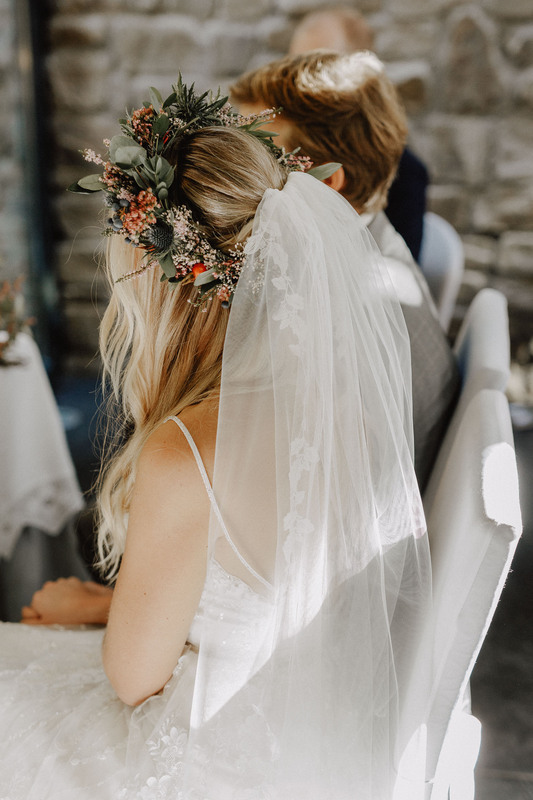 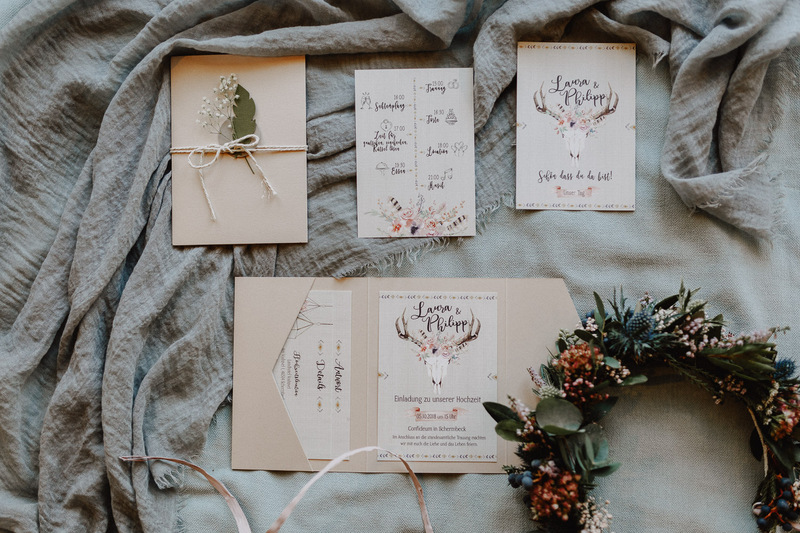 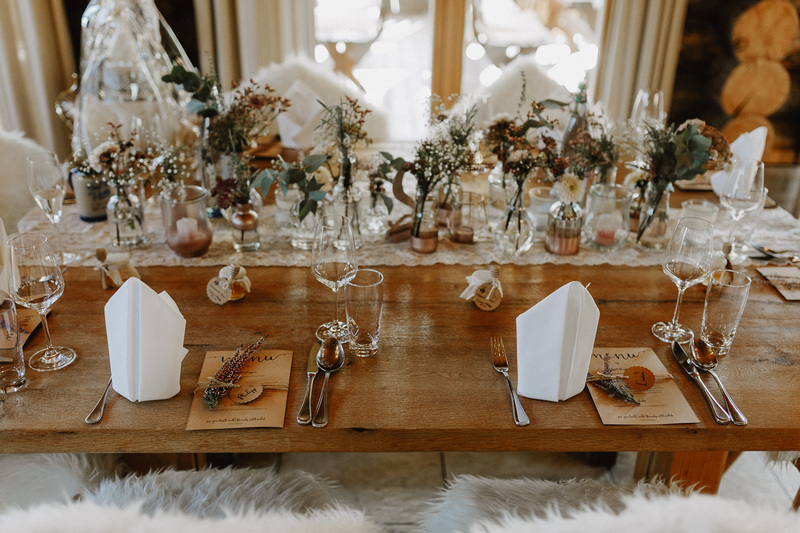 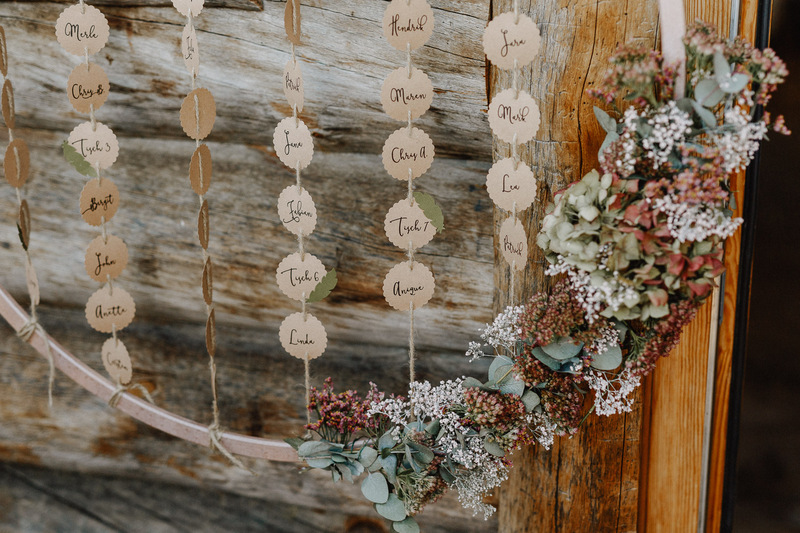 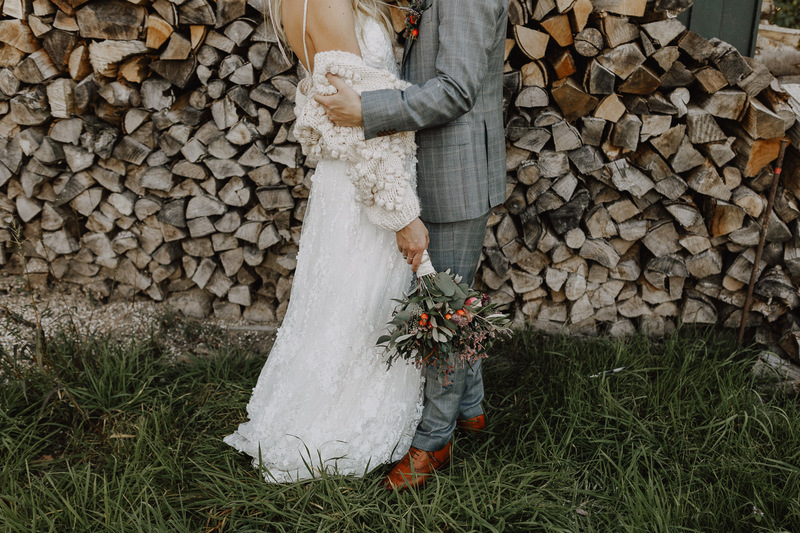 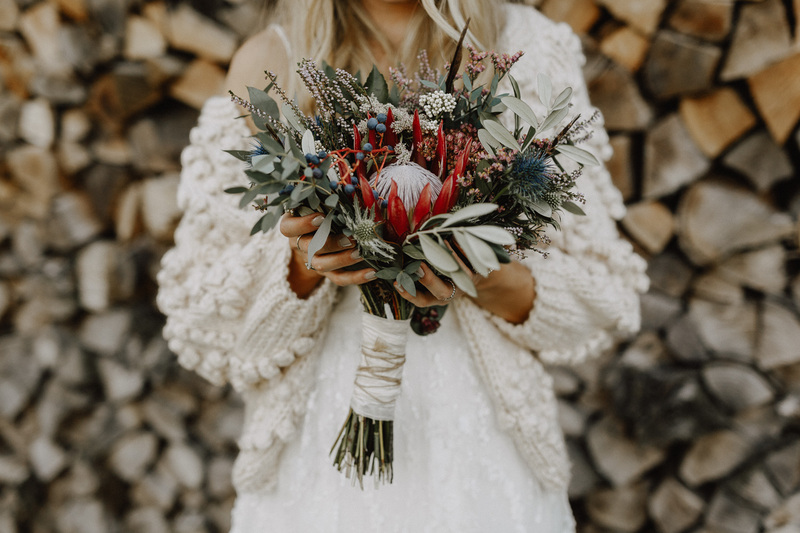 The hutt, the wild flowers, the fur over the chairs and the chains of lights over the wood trusses, it all summed up to natural and really cozy autumn wedding with an Alpine flair.